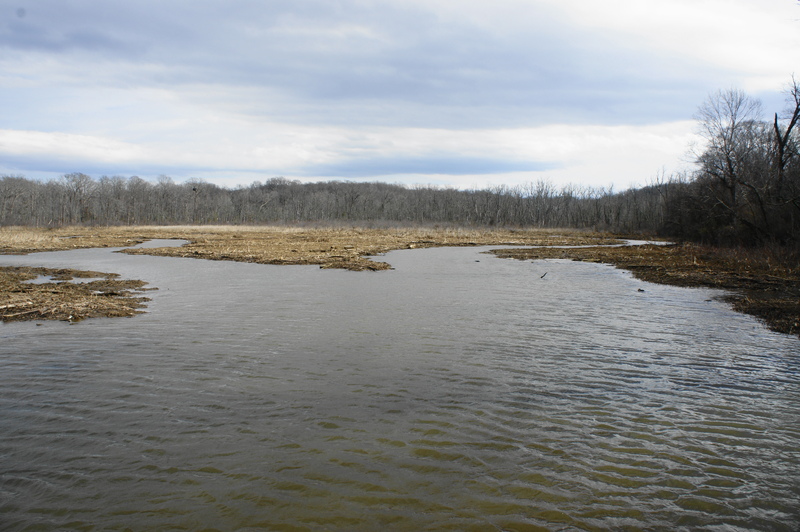 Piscataway Park in southwest Maryland features a mix of riparian forests, grasslands, and marshes within an hour’s drive of Washington, DC. 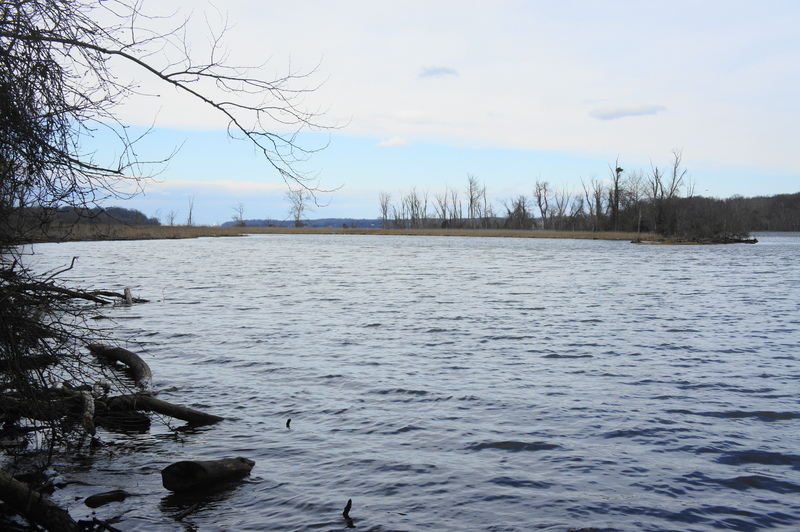 While most visitors will flock to the National Colonial Farm (which itself boasts several hiking trails), the Accokeek Creek area offers a more natural experience, with ample opportunities to spot birds—eagles, herons, and ospreys among them. 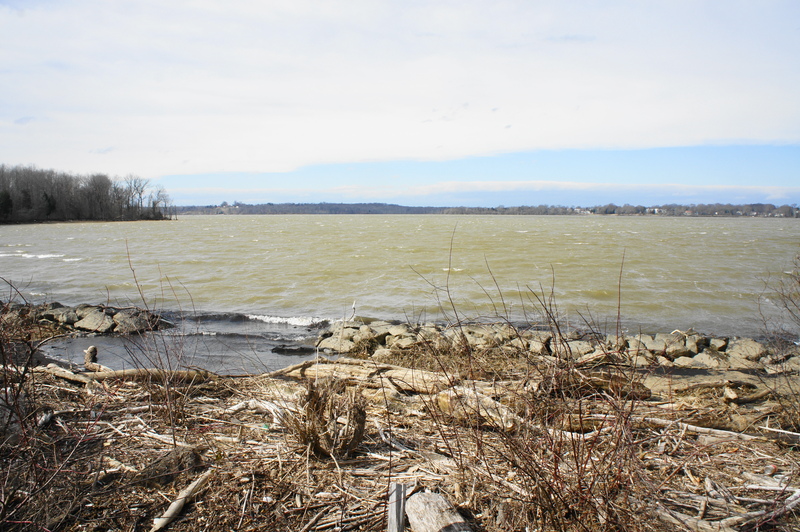 A short, 2-mile out-and-back hike covers the length of a scenic boardwalk over the tidal marsh, as well as an easy stroll around Mockley Point, situated at the confluence of Piscataway Creek and the Potomac River. 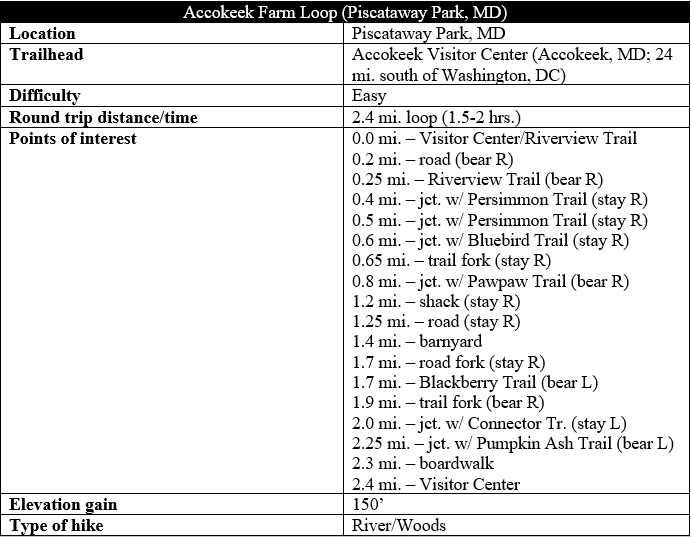 To reach the trail, pull into the Accokeek Creek parking area in Piscataway Park, situated off Bryan Point Road about ½ mile before the entrance to National Colonial Farm. 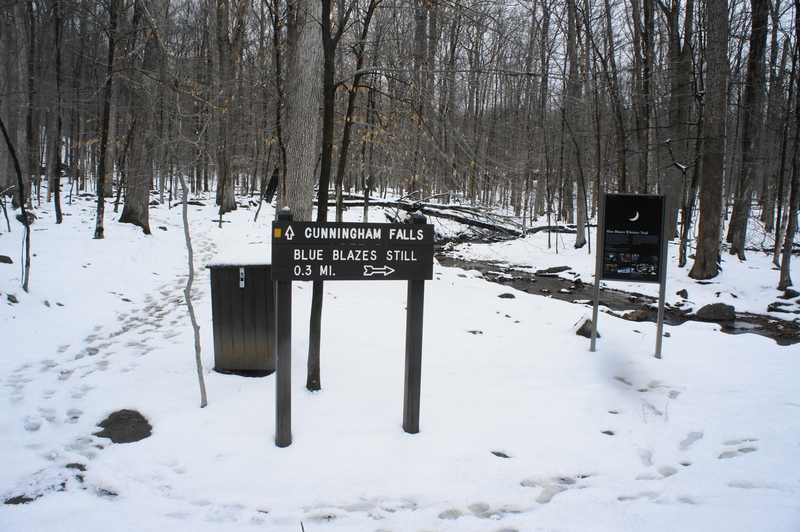 In winter, visitors will have to park here and walk ¼ mile down the gravel road to the start of the hike. 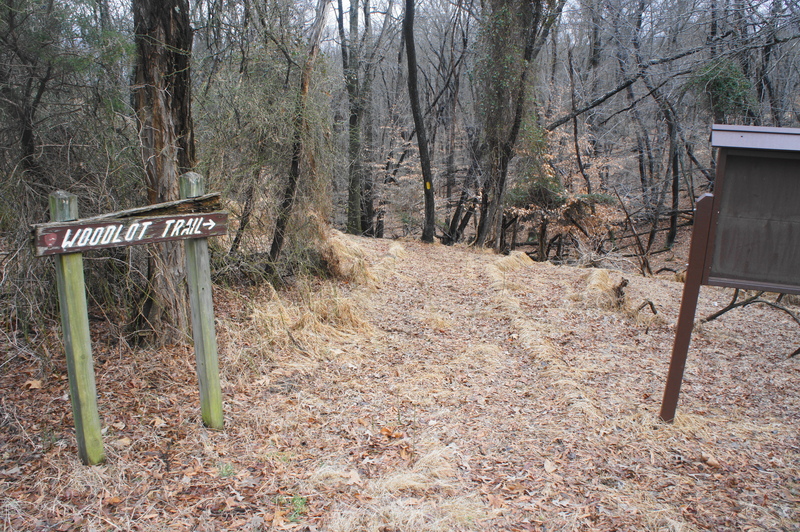 From spring to fall, however, the gate is likely to be open, allowing for passage straight to the parking area at the Accokeek Creek Trailhead. 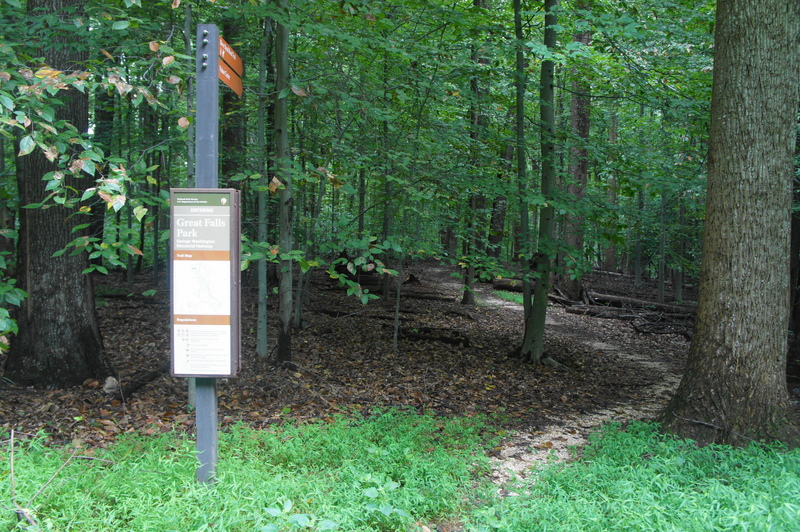 The walk begins just beyond this second parking area, bearing to the left of the interpretive panel at the trailhead. The partly asphalted path quickly gives way to dirt, but it remains smooth and wheelchair-accessible. Follow this route through a clearing for 75-100 yards, after which the path bends sharply left and the Marsh Boardwalk comes into view. Bear right on the wooden walkway, following it for the next ¼ mile. 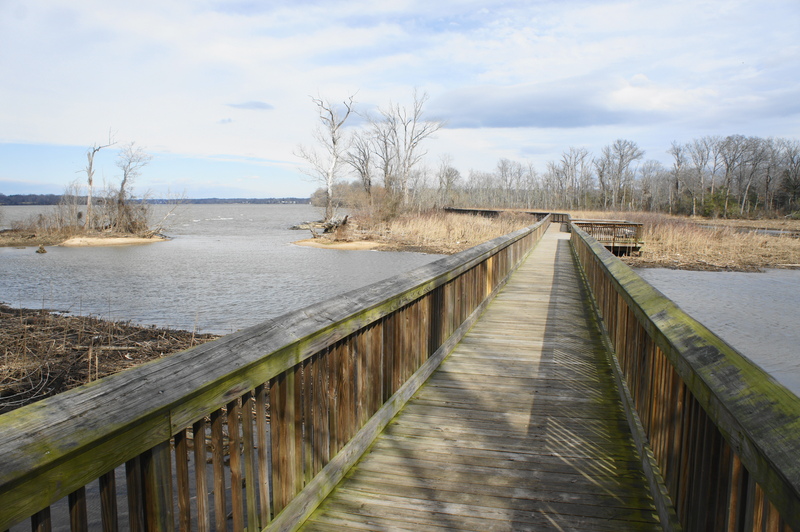 The boardwalk begins by traversing Accokeek Creek, a tidal tributary of the Potomac River. 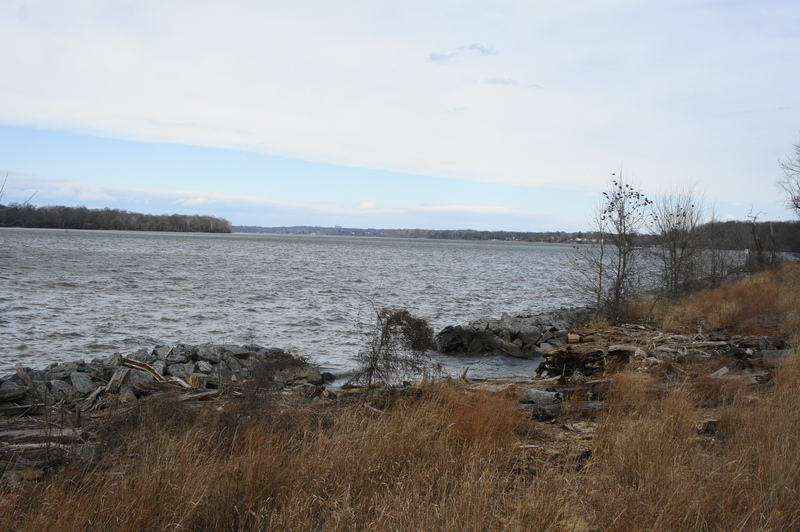 The wider Potomac is visible to the left, with the mouth of Accokeek protected in part by a vegetated spit. Further down the boardwalk, as it passes over reed-filled marsh, interpretive panels on the left tell the story of man-assisted preservation: in 2010, local naturalists developed a “living shoreline”—complete with rock sills and pocket beaches—to help protect the marsh. 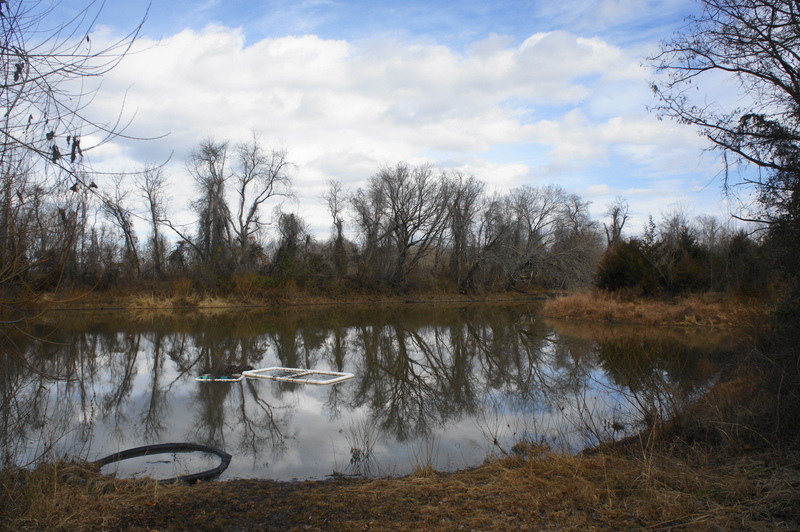 The result is a more sustainable habitat for birds, fish, and land animals who depend on the swamp for survival. 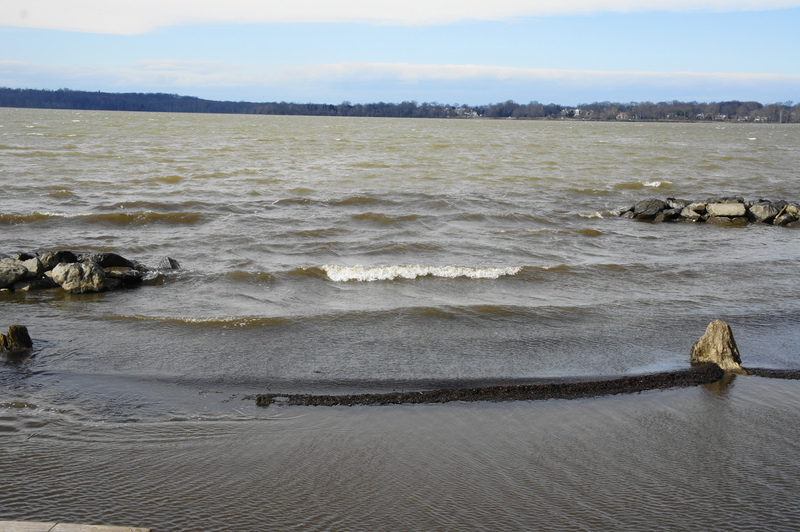 Whether the sills and beaches are visible depends on the tides—these moon-driven forces also control whether Accokeek Creek is full of water or reduced to a largely mud-choked drainage. Continue along the boardwalk as it reaches a junction at about the ¼-mile mark. Stay straight at the fork, bearing northeast. 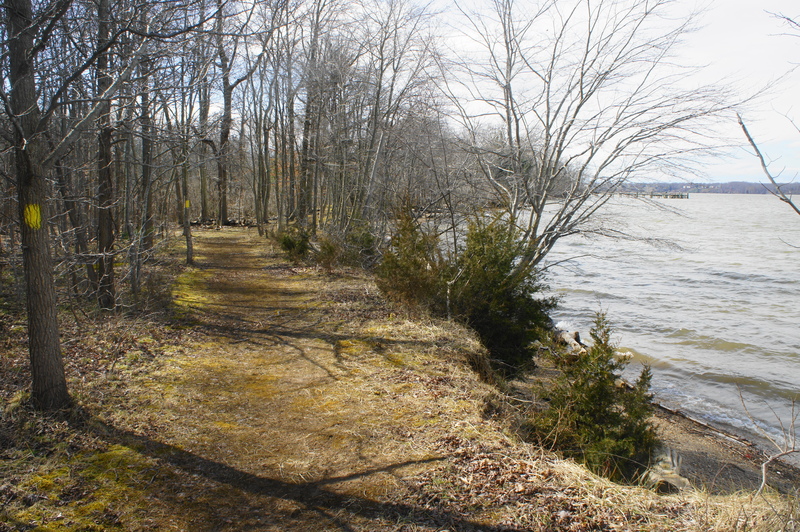 (Note: The right fork leads back to land, where a faint trail connects back to Bryan Point Road.) 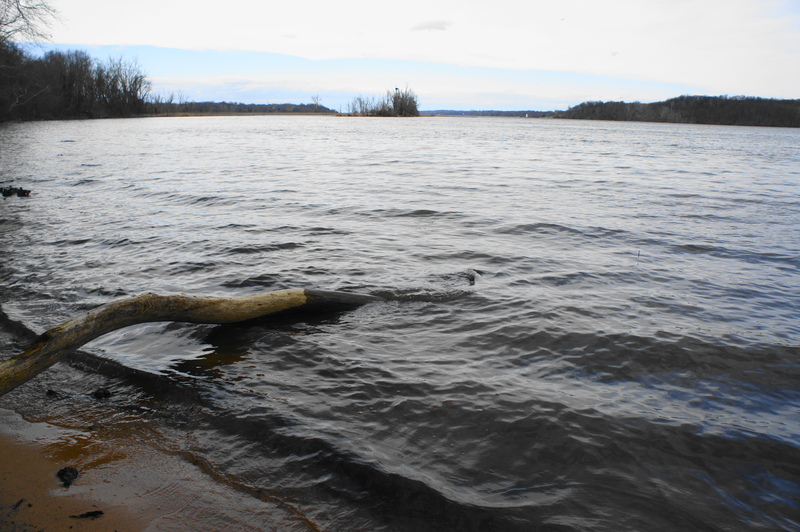 Within a minute, the boardwalk comes to an end, giving way to an open field that is firmly onshore. 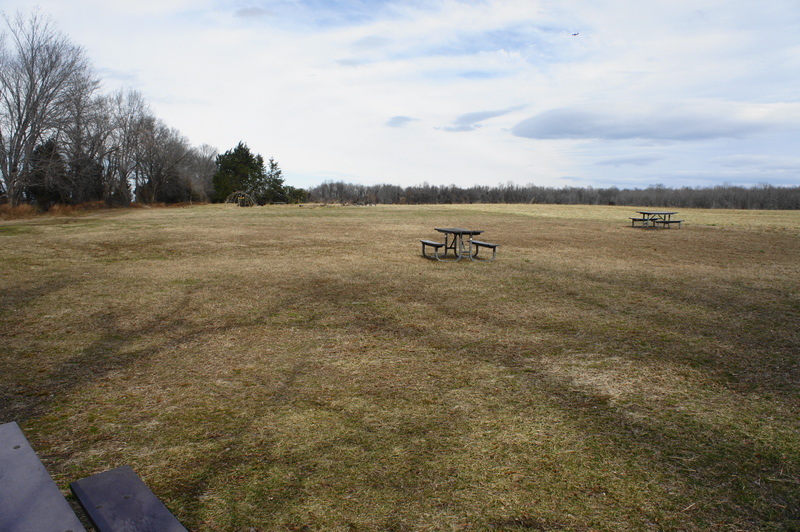 There are picnic tables scattered across the grass. Some may elect to turn around here, but it is possible to continue onward, following the well-worn dirt road as it parallels the Potomac. The rutted track passes a monument (and grave) for Chief Turkey Tayac of the Piscataway Indian Nation. 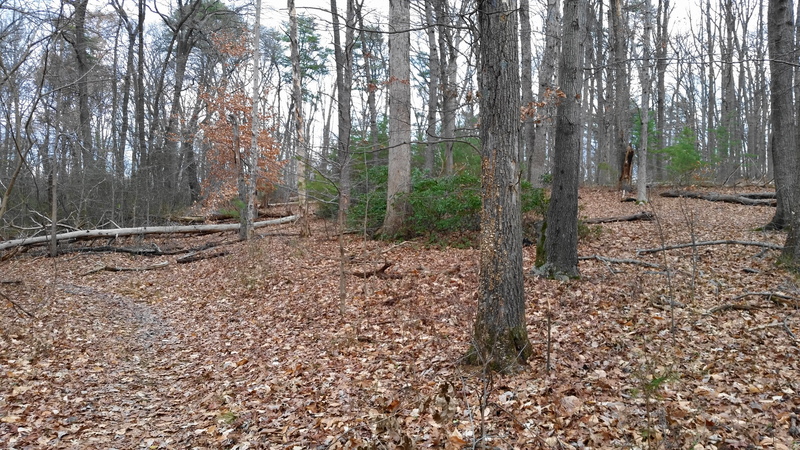 This area was the approximate location of the Accokeek Creek site, a large settlement for the Piscataway Indians that may have existed at the time of Captain John Smith’s expedition to the area in 1608. 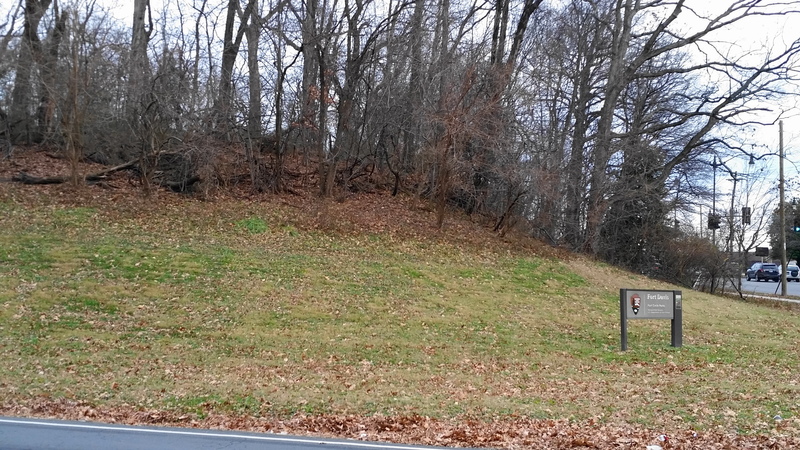 Today the area is still used by remaining members of the Piscataway Indian Nation. Beyond the gravesite, the road continues straight for around 4/10 mile in the open sun, with occasional peeks at the Potomac through gaps in the trees on the left. (Note: Stay left at the junction; heading right leads to the Hard Bargain Farm.) 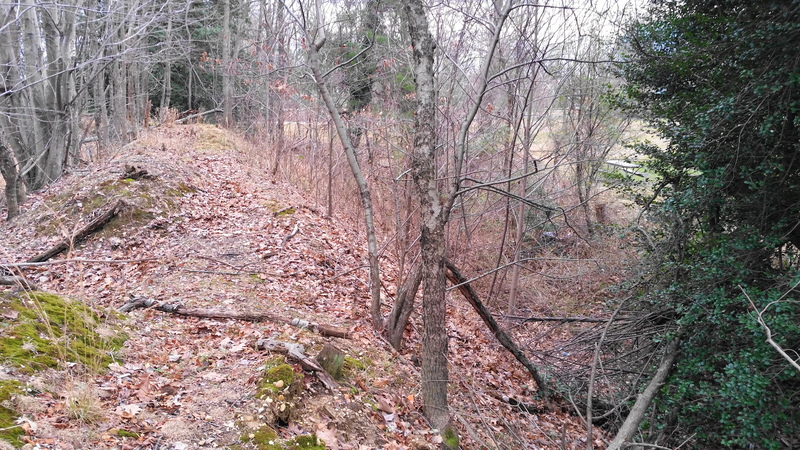 At about 2/3 mile, the track bends to the right and reenters the woods. 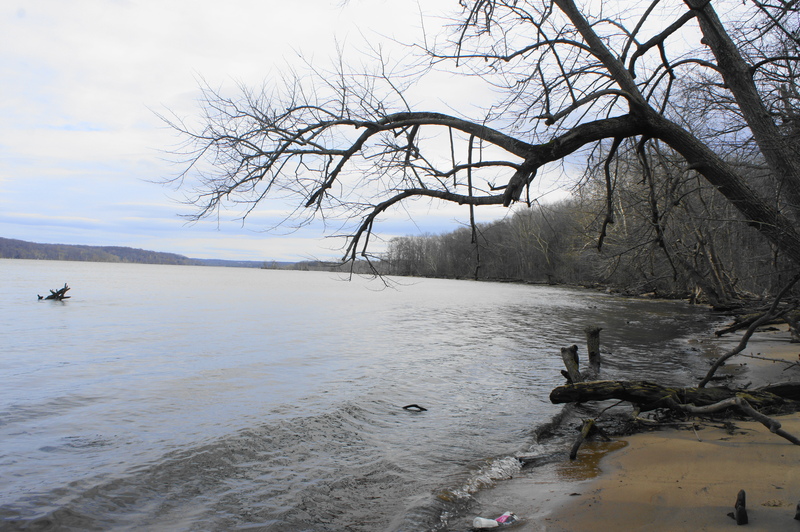 As the road bends east and then south, it runs away from the Potomac, but views of Piscataway Creek improve. Compared to the often-windswept Potomac, this lovely waterway is relatively still and peaceful. At about 1.05 miles, the road comes to and end at an anticlimactic cul-de-sac, but spurs off to the left offer access to small beaches along the creek. Stop for a snack at this peaceful hideaway, then return the way you came. Expect to take around 1-1.5 hours for the easy, out-and-back hike. 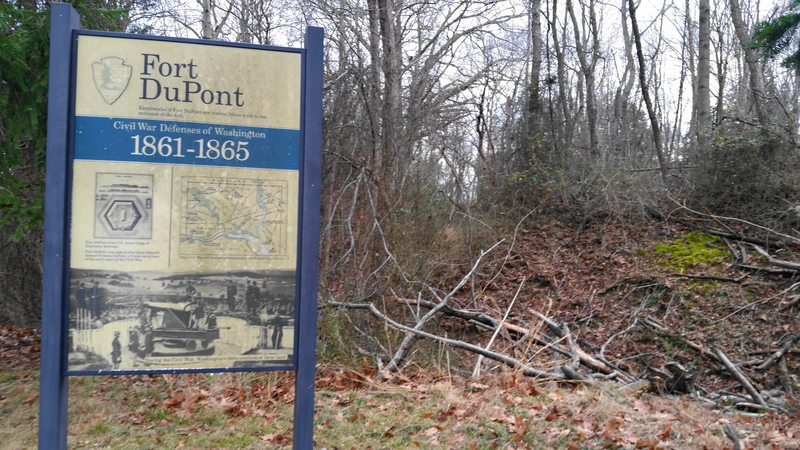 Consider also visiting the National Colonial Farm to complete the 2.4-mile Accokeek Farm Loop, or head north to Fort Washington for the scenic Fort Washington Loop. 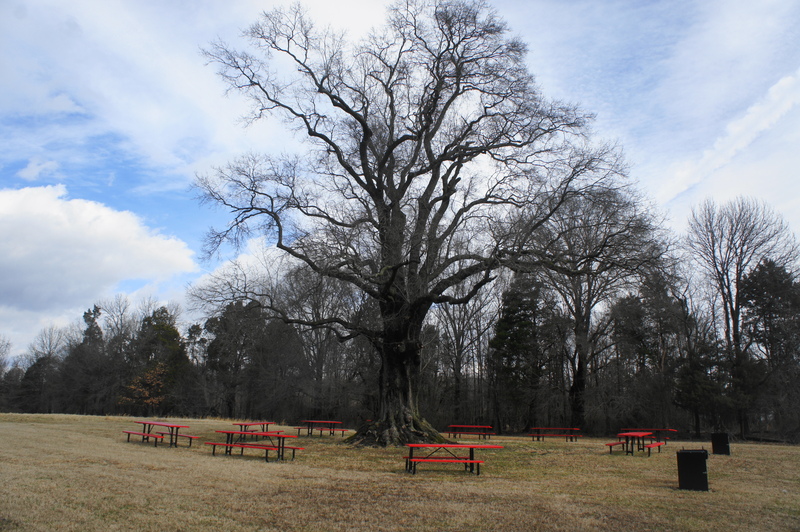 Situated inside Maryland’s Piscataway Park, the Accokeek Foundation, an education non-profit, runs the 200-acre National Colonial Farm along the banks of the Potomac River. 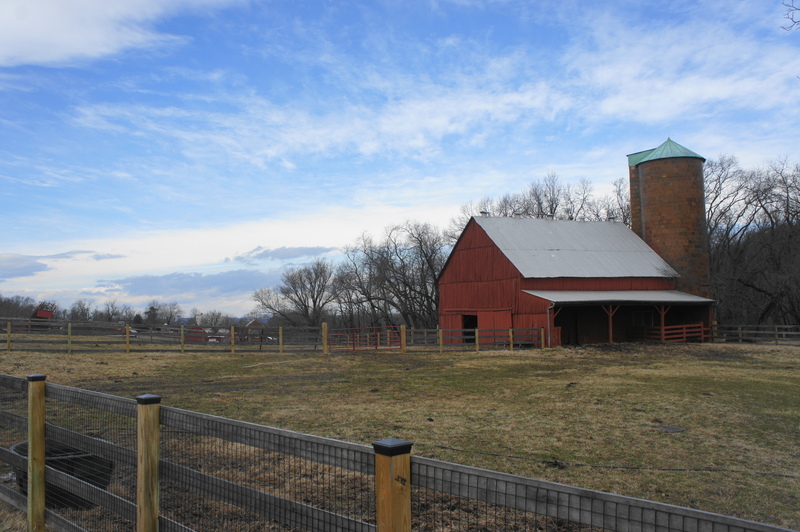 In addition to live barnyard animals, the farm features a series of interlocking nature trails, several of which can be combined to form a roughly 2.5-mile circuit around the riverside tract. 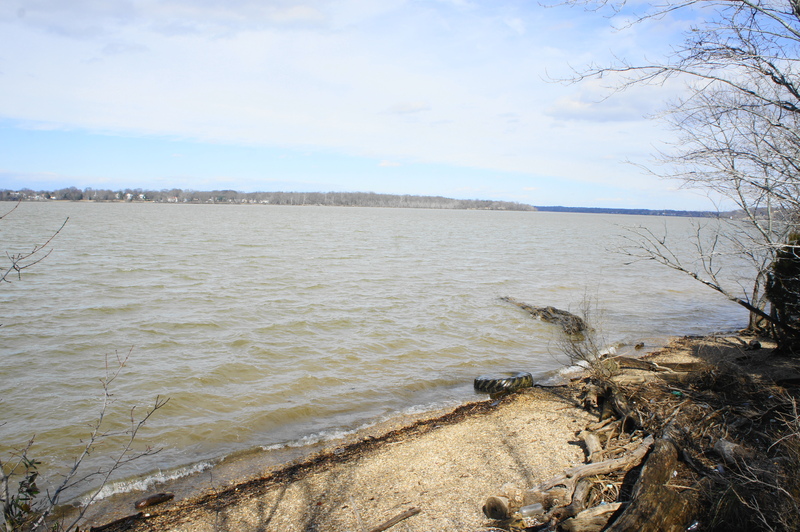 This post describes a counter-clockwise loop around the area, featuring stretches of dense woods, open fields, wetlands, and views of the Potomac River. If you are lucky, hikers will spot a bald eagle or two among the riparian ecosystem, as well as beavers, foxes, or ospreys. Begin the walk from the main parking area at National Colonial Farm in Piscataway Park, roughly a 40-minute drive south of central Washington, DC. 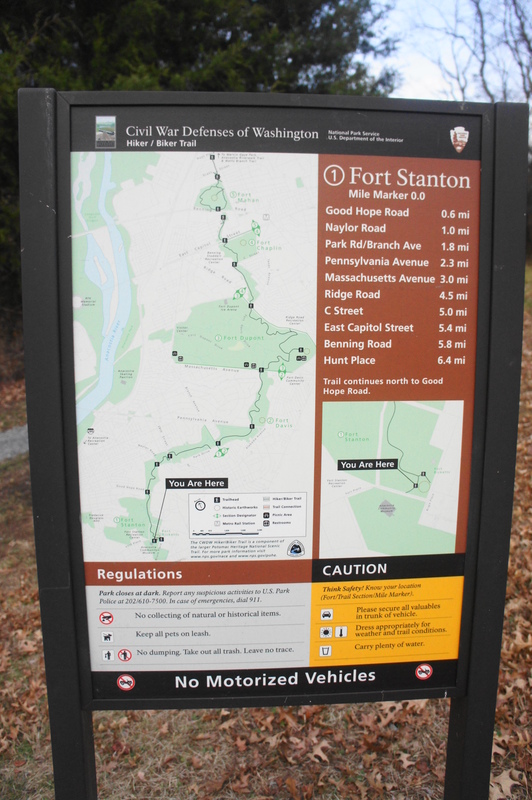 (Note: Piscataway Park is often coupled with a visit to nearby Fort Washington Park. See here and here for more information.) Here you will find the Visitor Center and Education Center (open seasonally), as well as restrooms and the access route to a fishing pier. The river comes in and out of view as the flat and easy trail bears westward. Occasional spurs offer access down to the water itself. 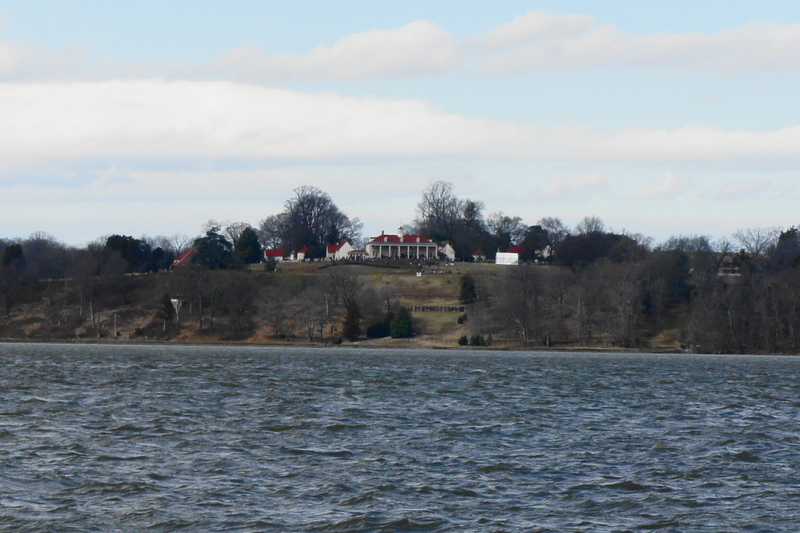 From here hikers can see across the Potomac River to the Virginia side: the hilltop mansion visible across the way is no less than Mount Vernon, the 18th century home of President George Washington. Off to the east is a fishing pier, and the narrowing Potomac upstream in the direction of Washington, DC. 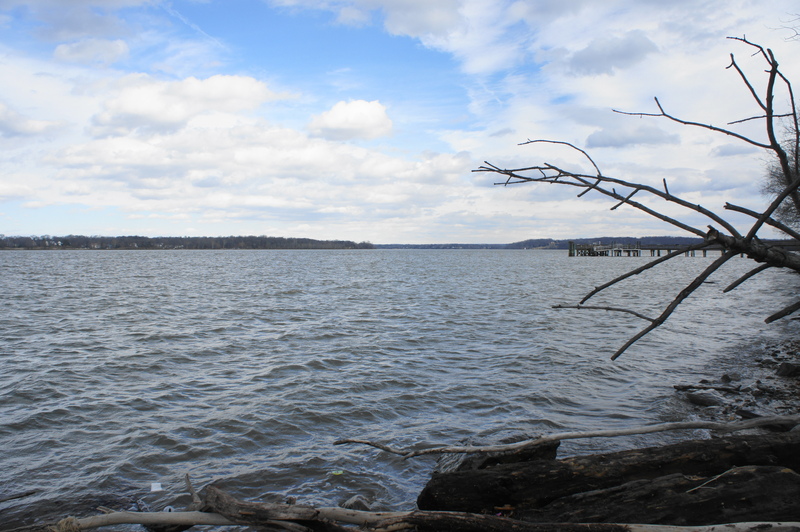 To the west, the lower Potomac gradually broadens, eventually winding its way to the Chesapeake Bay and Atlantic Ocean. 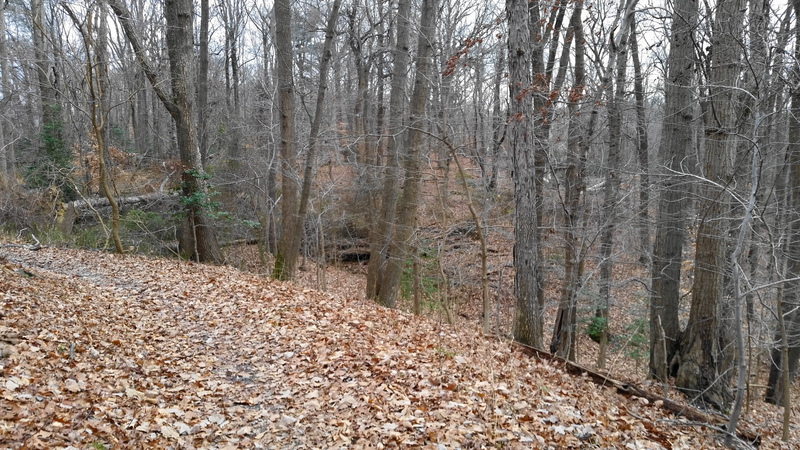 After about 250 yards of hiking, the single-track trail cuts west, away from the river, and bursts out of the woods. Follow the blue blazes as the route skirts a plant garden and then bears south to meet up with the original gravel road. Bear right on the wide drive, following it for a mere 50 yards to the Caretaker’s House, where the Riverview Trail continues straight, next to the edge of the riparian woods. The Riverview Trail continues right and descends briefly to cross a wooden bridge, followed by a gradual climb back to the top of a small escarpment. The path ends suddenly at 6/10 mile, spilling into the much broader Bluebird Trail. Follow the baby blue blazes straight, following the wide and grassy straightaway. With the river on your right, the trail passes a trail fork within about 125 yards; stay straight. At the next intersection, the Bluebird Trail bears left at a 90-degree angle, while a spur path leads to a picnic table along the river ahead. 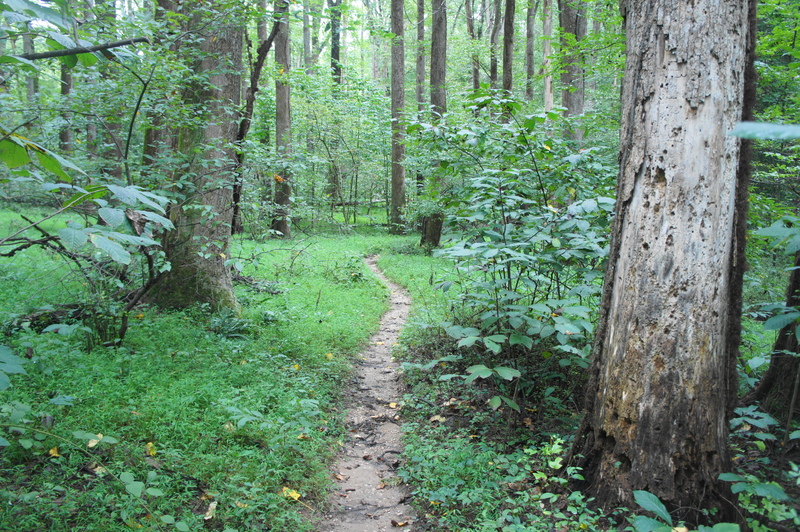 Follow the left-hand turn and walk the path through the chestnut grove as it bears southward. At about 8/10 mile, an unmarked path comes in from the right, and hikers will now realize that they are on the brink of a relatively sharp drop-off to the right. Continue straight for 30 seconds to another trail junction. Take a left, leaving the Bluebird Trail in favor of the white-blazed Pawpaw Trail. 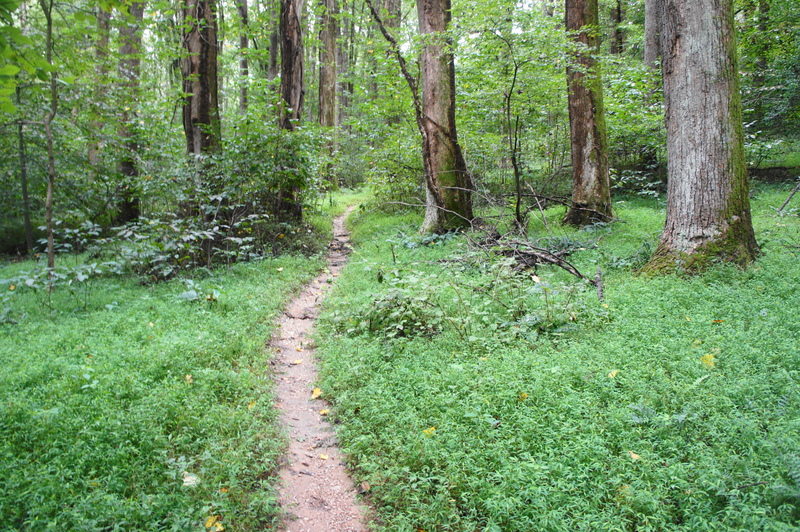 The Pawpaw Trail is a small single-track and one of the more interesting of the circuit, as it gains some elevation in the hills around National Colonial Farm. After the initial junction, stay right at a subsequent junction, climbing the wooden stairs up Cactus Hill. The path tops off at around 9/10 mile, in view of a private residence on the right. From here the trail dips slightly as it bears east, then climbs again as it pulls out of a gully with a seasonal stream. The descent back to the farm begins at around 1.1 miles, ending at a small weathered shack and a trail fork. Bear right at the junction, skirting the eastern flank of the Native Tree Arboretum, which contains over 125 different species of trees and shrubs that grew in the Chesapeake Bay area in the 17th and 18th centuries. At 1.25 miles, the Pawpaw Trail ends; stay straight on the gravel road, heading back in the direction of the river and Visitor Center. The next 1/3 mile requires tracing the wide road as it bears north and then east. At 1.4 miles, pass the barnyard—chock full of cows—on the left. Follow the long straightaway between fields to the 1.6-mile mark, where the road cuts sharply right, within striking distance of the Education Center. Here the road returns to pavement and treads southward toward the farm entrance. After passing the turnoff to the main parking area on the left, catch the start of the purple-blazed Blackberry Trail on the left. 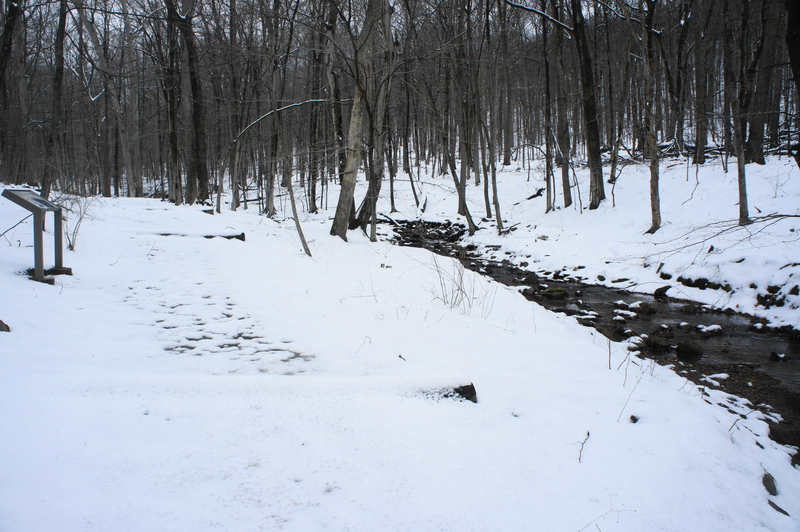 Within steps, this trail drops back into the woods and descends gradually to cross a seasonal stream. While the main track continues right to the Ecosystem Farm, continue left on the blazed path, which stays in the wooded floodplain. 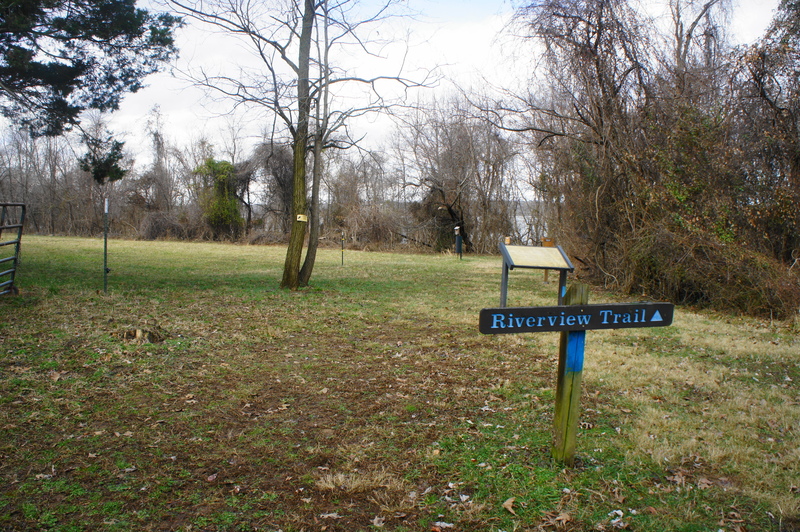 As the muddy trail weaves east, it passes a junction with the Accokeek Connector Trail at about Mile 2 (this provides access to the Accokeek Creek area), then brushes up against the edge of a fenced field near the eastern fringe of the farm area of Piscataway. 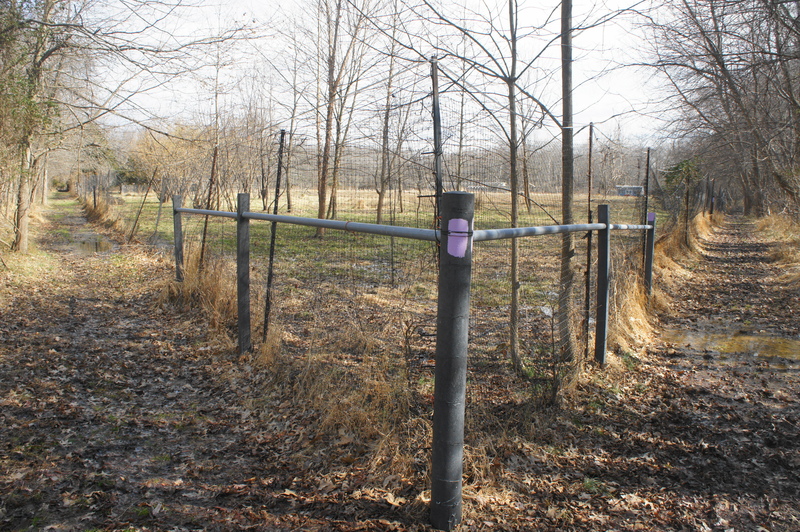 The next 1/10 mile follows the fence northward, ending at 2.2 miles. 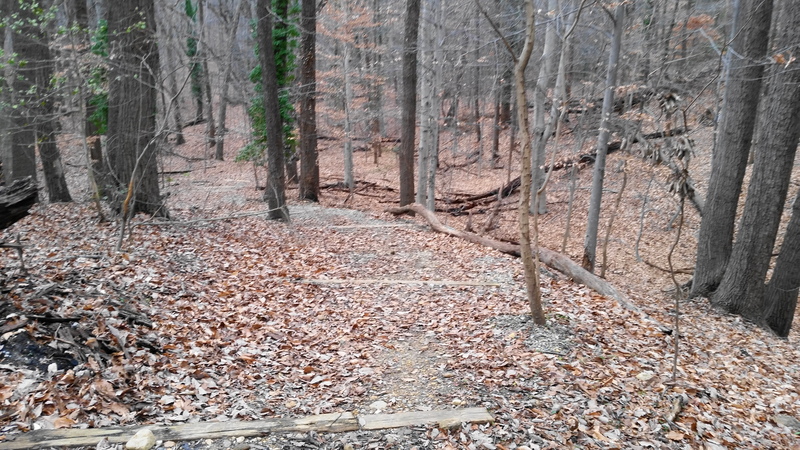 With the Potomac River again within reach, the Blackberry Trail ends and becomes the yellow-blazed Pumpkin Ash Trail. Bear left here, following what is arguably the finest section of the hike. 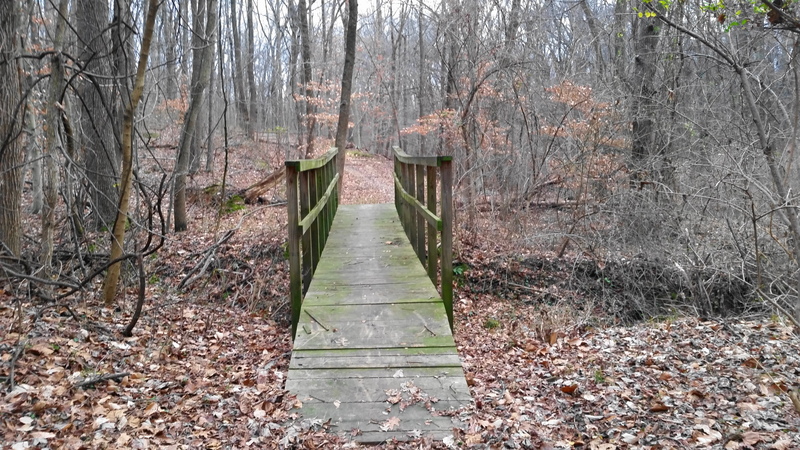 After hugging the banks of the Potomac River with sweeping views, the Pumpkin Ash track crosses a wooded boardwalk at 2.3 miles, which offers clearance over a wet marshland. 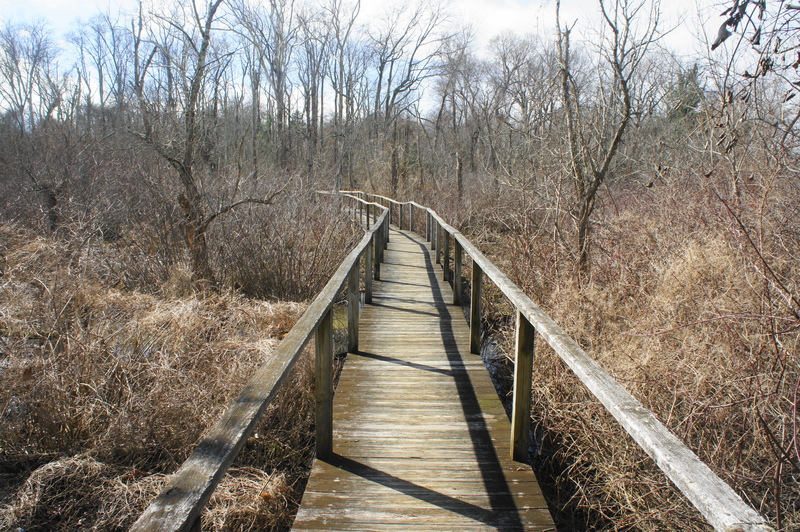 Eventually the wetland gives way to forest again, and the boardwalk ends. This marks the final stretch back to the Visitor Center and parking area, featuring a gradual climb. At 2.4 miles, bear left as the path emerges from the woods to return to the parking lot. Allot between 1.5-2 hours for this round-trip hike. With the exception of the Pawpaw Trail, there is very little elevation gain, although some attentive route-finding is required in places. 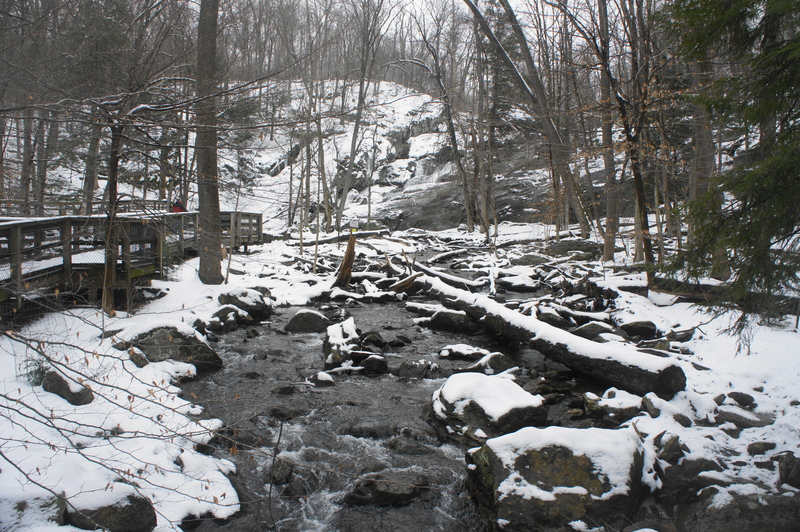 The Woodlot Trail is a short, one-way nature hike in Maryland’s Oxon Cove Park that—despite being within striking distance of Washington, DC—makes for a surprisingly scenic walk. 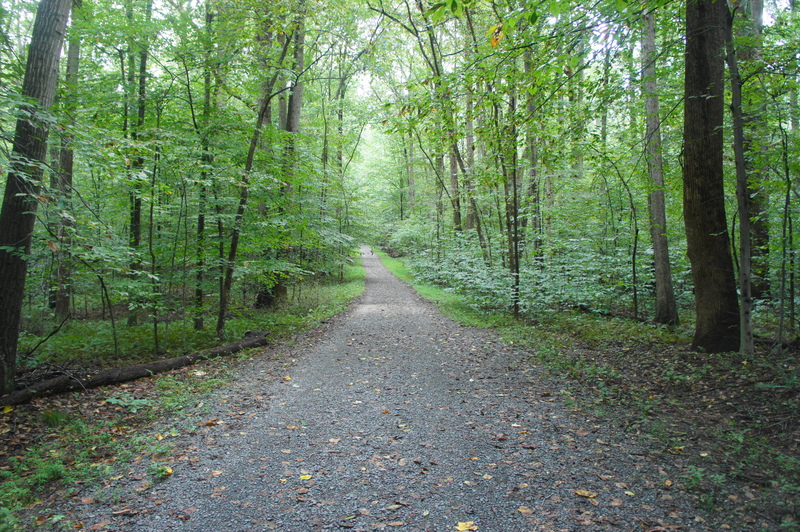 Meandering in and out of wooded ravines, the hilly traverse follows a deep-cutting stream behind Oxon Hill Farm, ending back at the parking area. 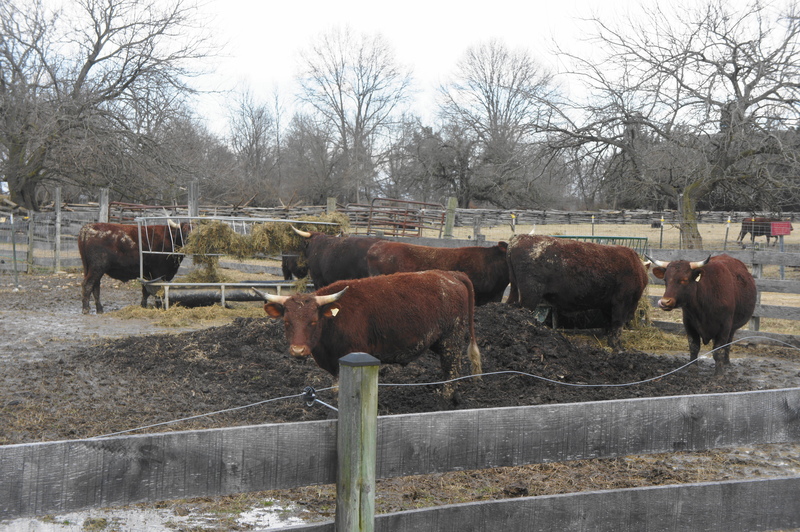 The main attraction of Oxon Cove Park is Oxon Hill Farm, a family-friendly farm owned and operated by the National Park Service. 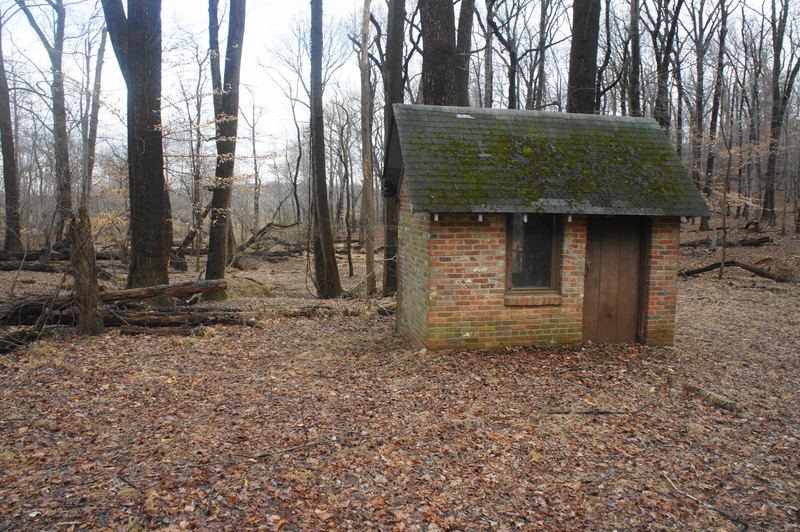 Behind the pig pens and chicken coops, however, is a dense forest, crisscrossed by a pair of hiking trails. 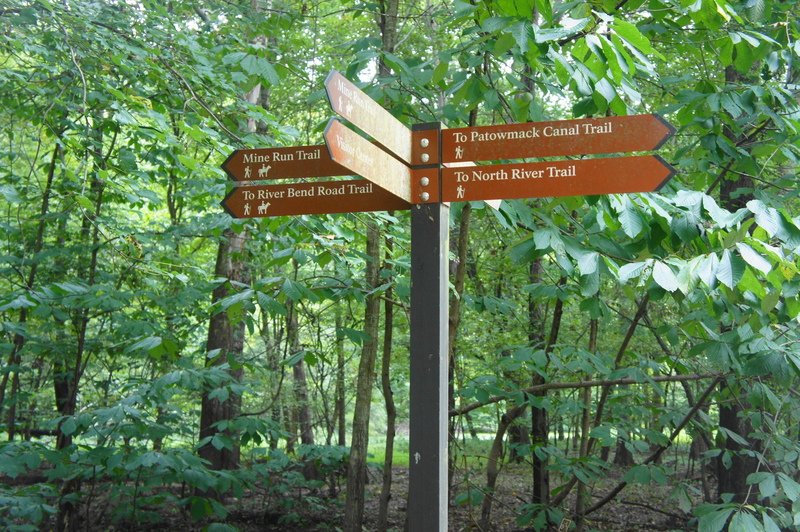 The longer Hiker-Biker Trail begins at the parking area off Bald Eagle Road, while the shorter Woodlot Trail starts further into the park, past the Visitor Center and heart of the farm. 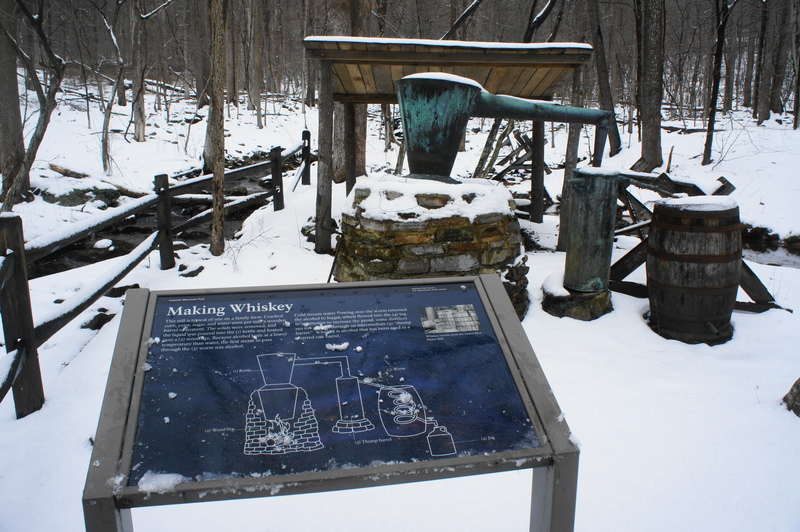 To access the Woodlot Trail, walk from the parking lot roughly ¼ mile to the Visitor Center. Then, upon exiting the building, bear left and follow the path as it winds westward, taking the second left. Continue down the gravel road until it enters the woods; the marked trail begins on your right. 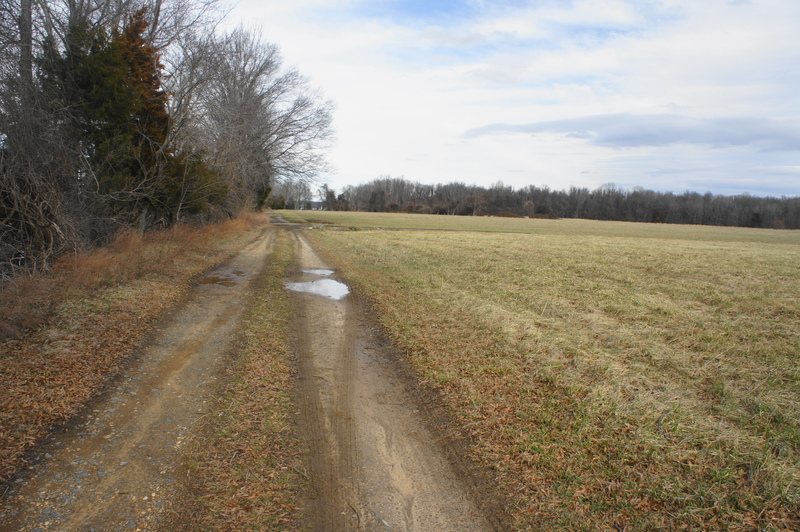 From the gravel road, the Woodlot Trail drops sharply, a rapid change from the level stroll through Oxon Hill Farm. 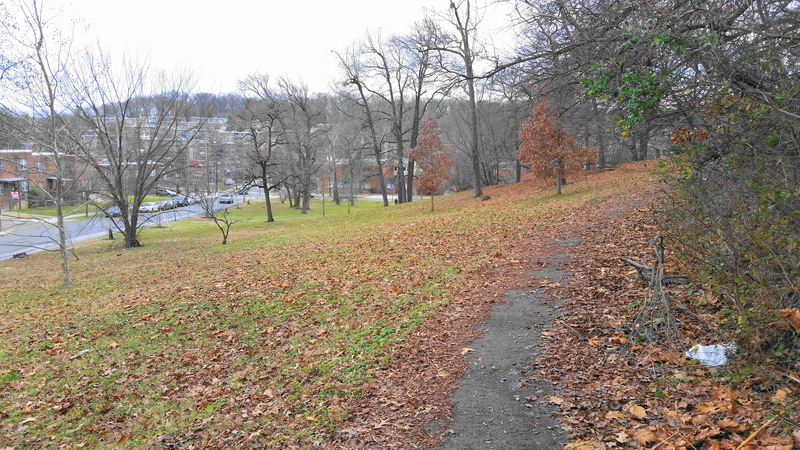 Fallen leaves congregate here in masses in the late autumn and winter, making for a potentially slippery descent. 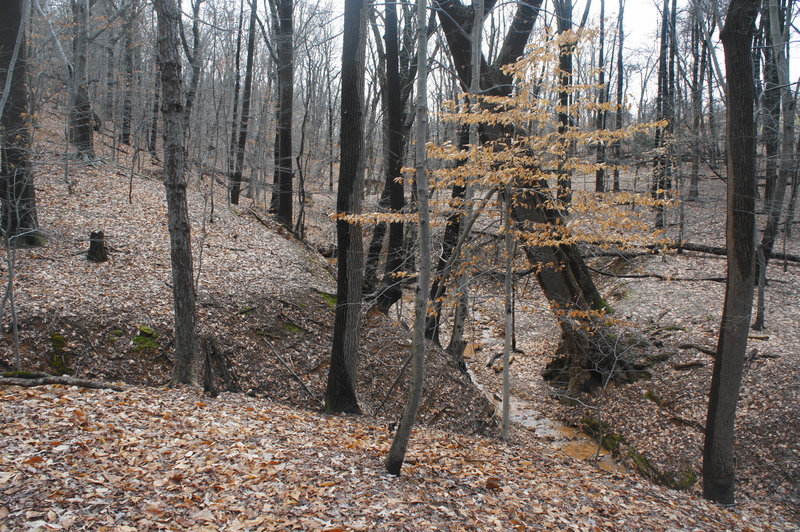 Within about 150 yards, the trail levels off as the dipping ravine gives way to a relatively flat basin. The yellow-blazed path passes a small and unused brick structure on the left and then crosses an unnamed but perennial stream, the primary natural centerpiece of the hike. 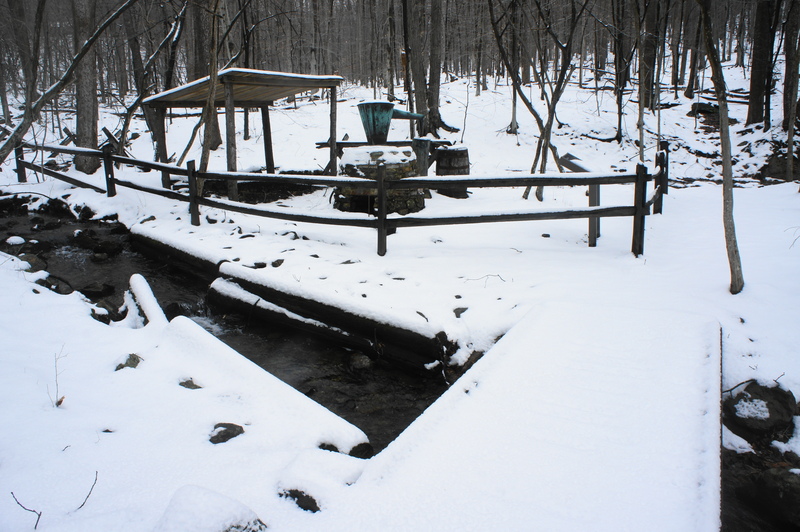 This mossy basin is extremely pleasant, but onward hikers must move on past the wooden bridge over the creek. 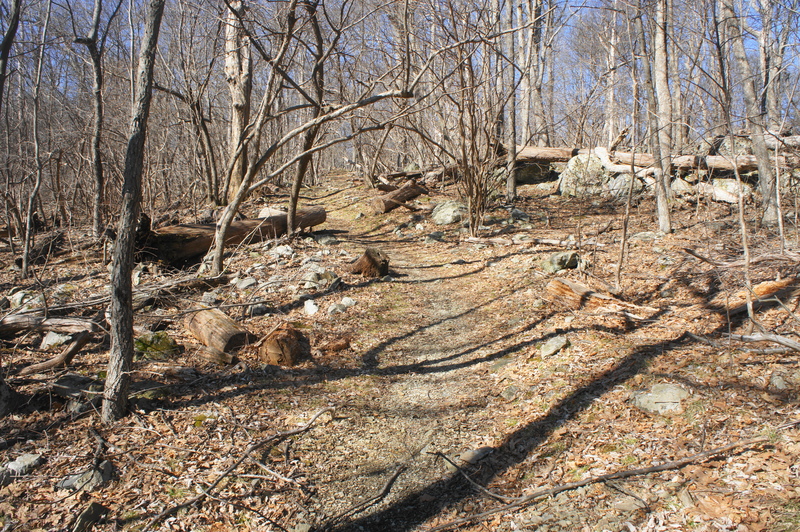 Here the path begins to ascend sharply, almost switchbacking up a bulging, wooded slope. 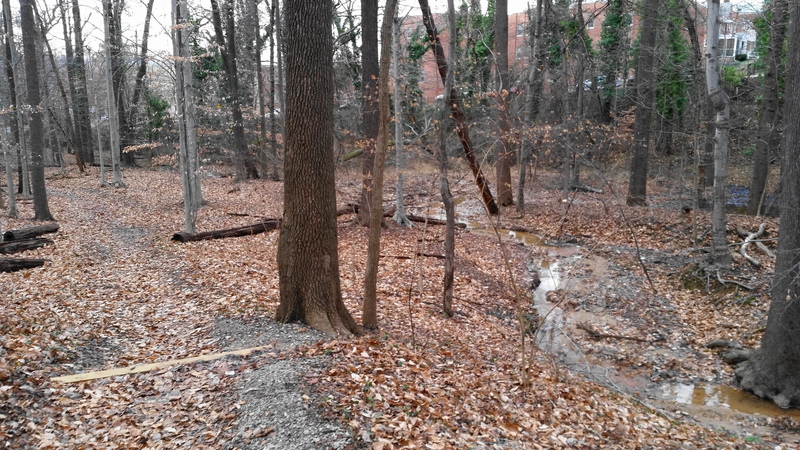 After leveling off again, the trail hugs the east flank of a deep-cut ravine and crosses a second bridge (over a tributary of the main creek), with the structures of Oxon Hill Harm visible through the trees to the west and south. Pay close attention to the yellow blazes, which offer passage in the absence of a clear path. At about 4/10 mile—around which the way is most obscured—the route bears left, climbing another hillside to work its way out of the ravine. 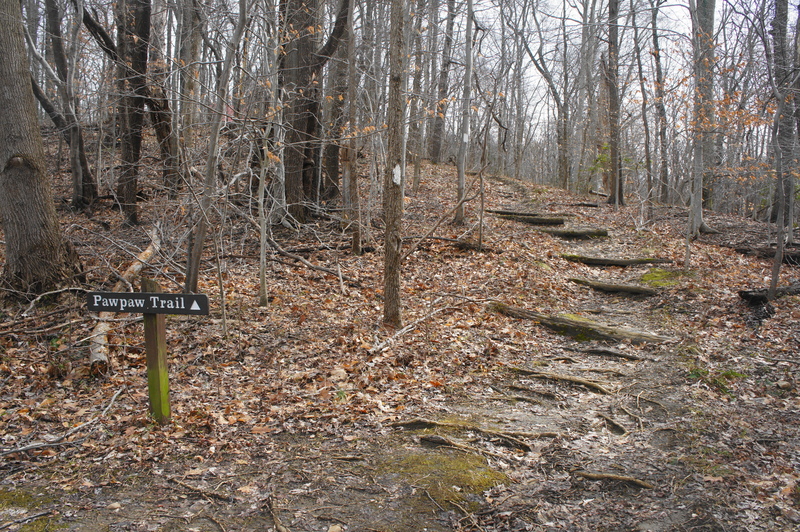 After crossing another tributary, the trail climbs a set of steep stairs, leading to a final push out into the open—the woods give way to an open pasture at around the ½-mile point. 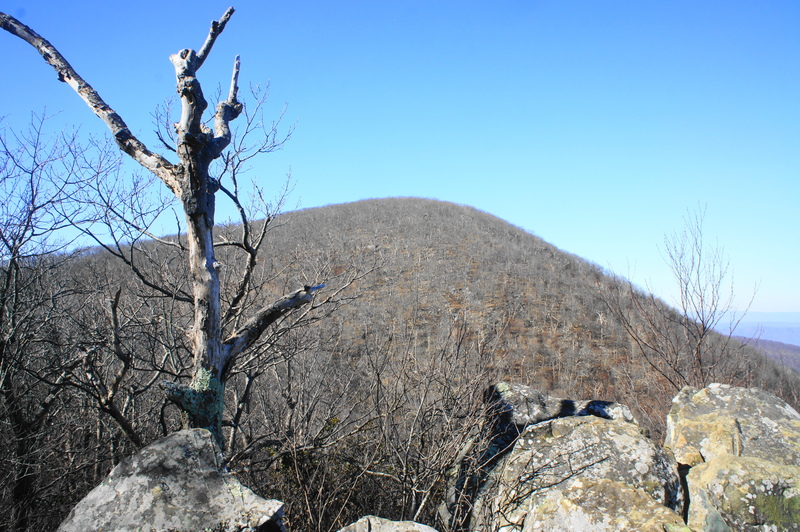 At 3,474 feet, Hogback Mountain is the highest peak in the North District of Virginia’s Shenandoah National Park. 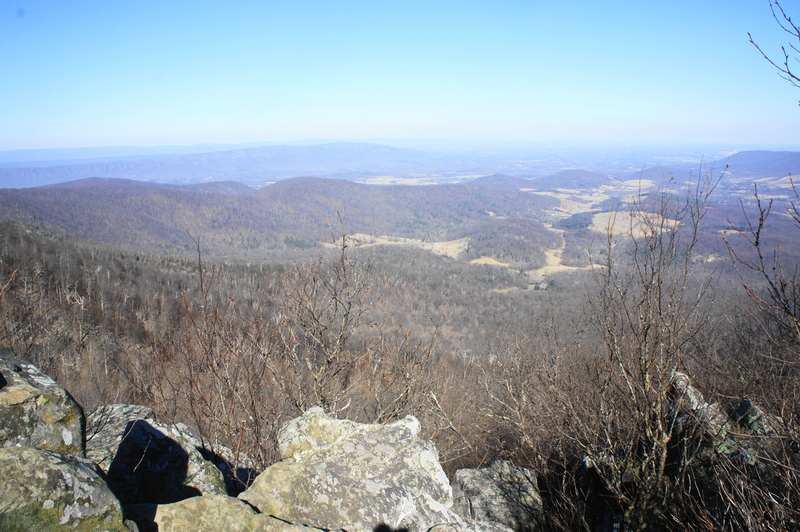 Although the summit is not accessible by trail, the modest Hogback Mountain Loop offers fine vistas looking north across Shenandoah Valley to nearby Massanutten Mountain. 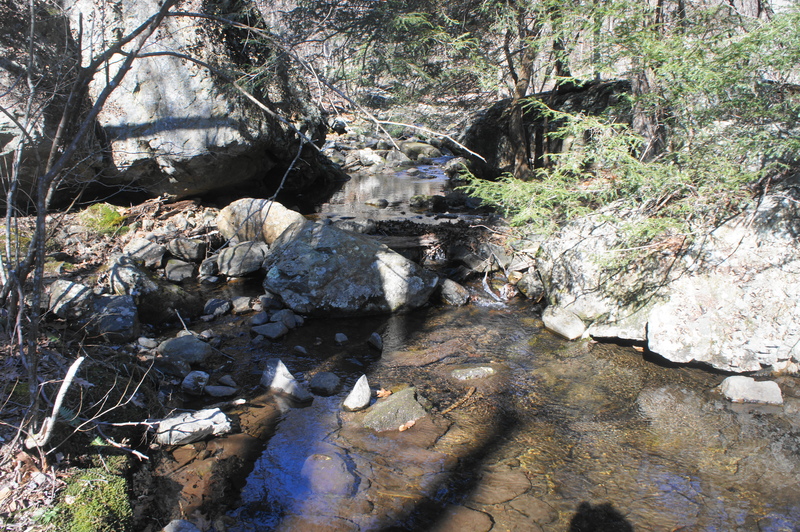 There is also a pleasant creek crossing at Piney Branch to top off the pleasant half-day circuit hike, which takes about 3-5 hours. 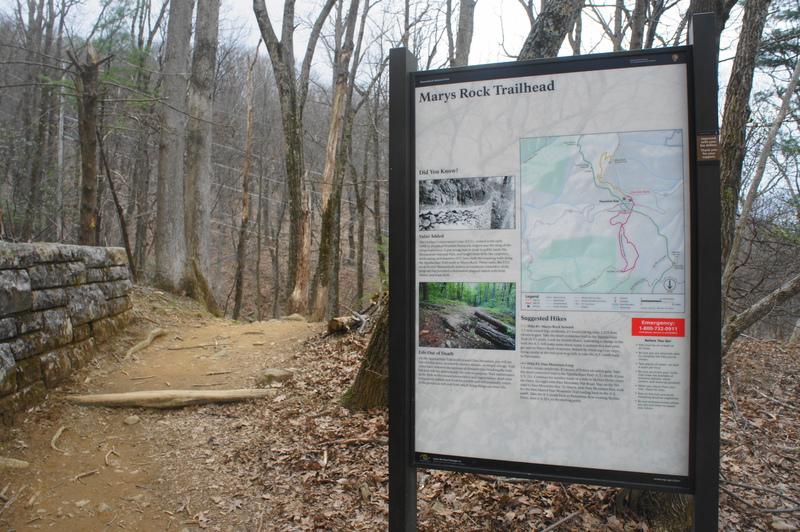 There are a few options for where to begin the Hogback Mountain Loop, but the starting point closest to Dickey Ridge Visitor Center and Washington, DC is Keyser Run Trailhead, situated at about Mile Marker 22 on Skyline Drive. 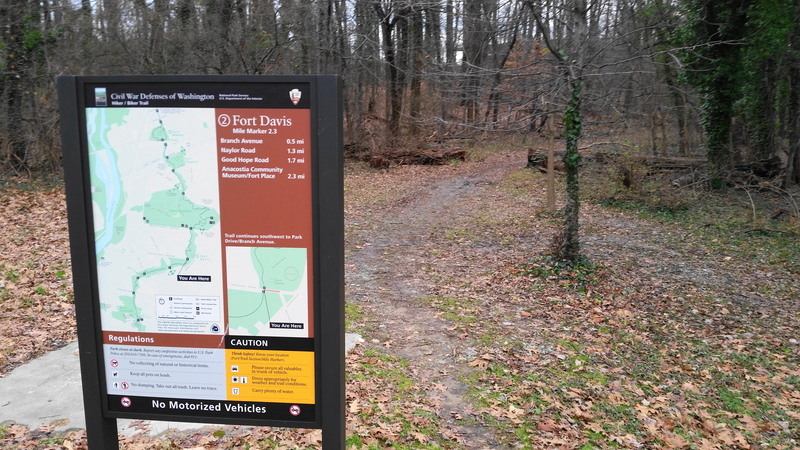 Turn into the parking lot here, where there are several spaces—although they are likely to fill up on a busy day, as this also doubles as the trailhead for the popular Little Devils Stairs Trail Loop. 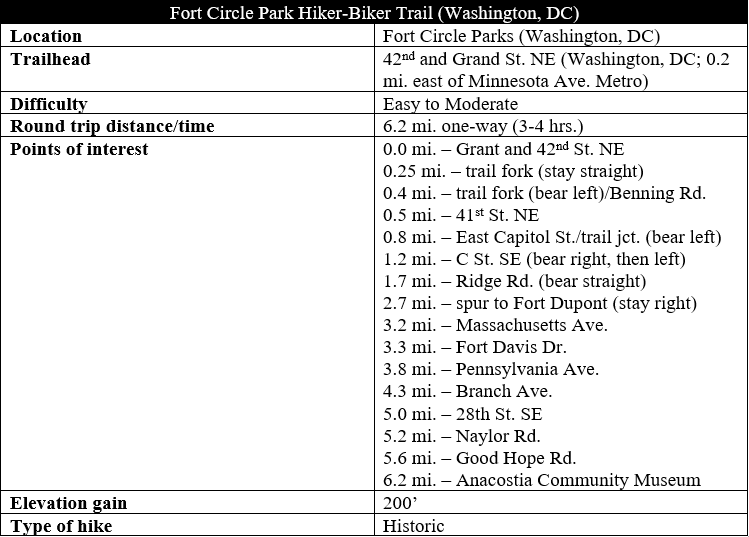 Start the hike by leaving the parking area and crossing Skyline Drive to the north. 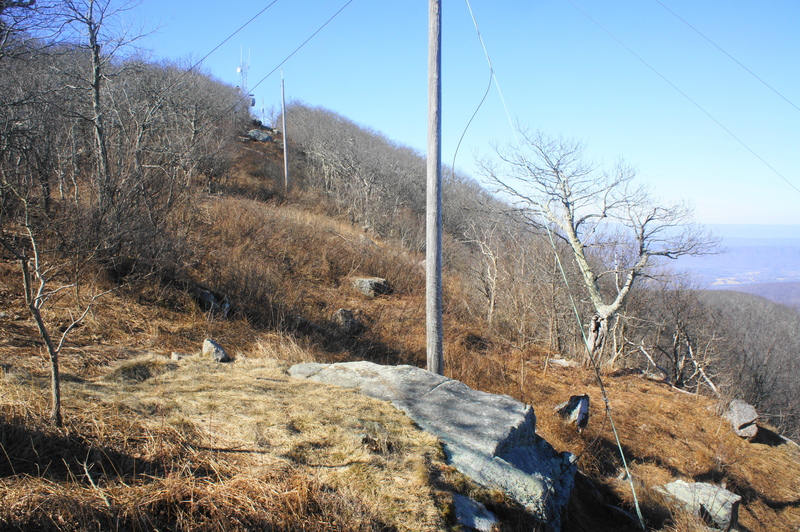 Here hikers will catch a short, 70-yard connector to the Appalachian Trail (AT), America’s most famous long-distance path. 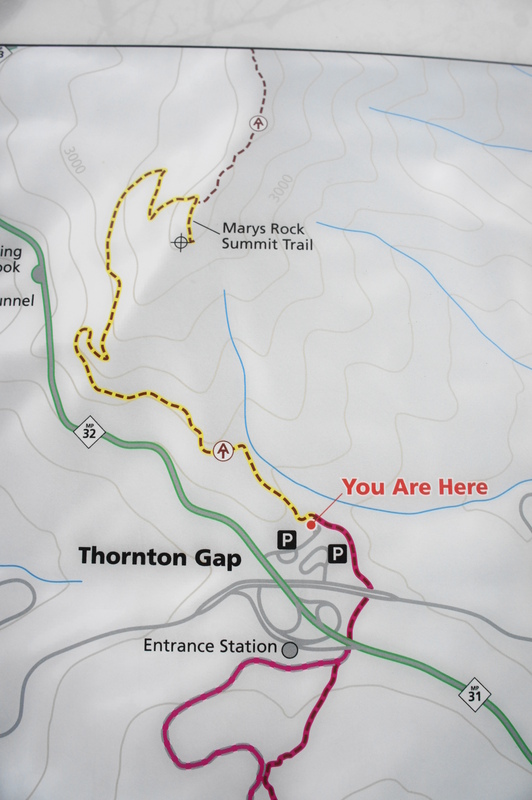 Take a left on this white-blazed track, which bears west and gradually climbs the slopes of Little Hogback Mountain, Hogback’s shorter but scenic cousin. Like most of the park, this section runs through a dense forest, obscuring most views. 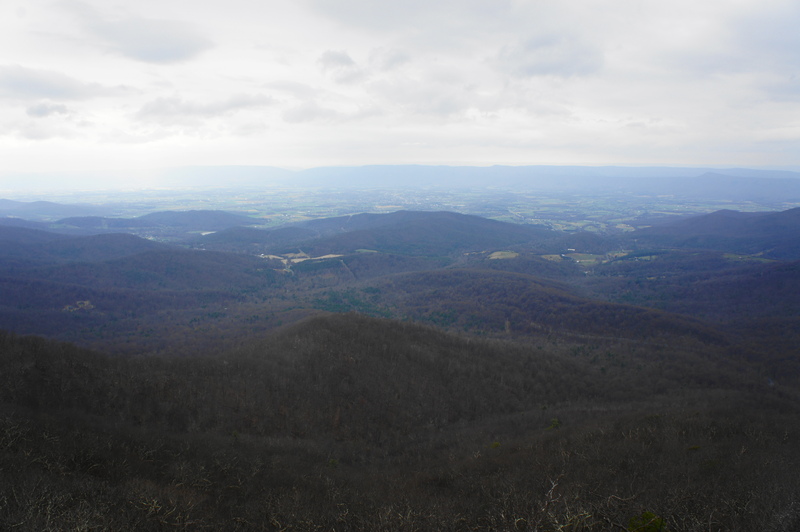 As the trail gains elevation, however, hikers will be able to peek through the trees to catch a glimpse of the Shenandoah Valley unfolding to the north and west. 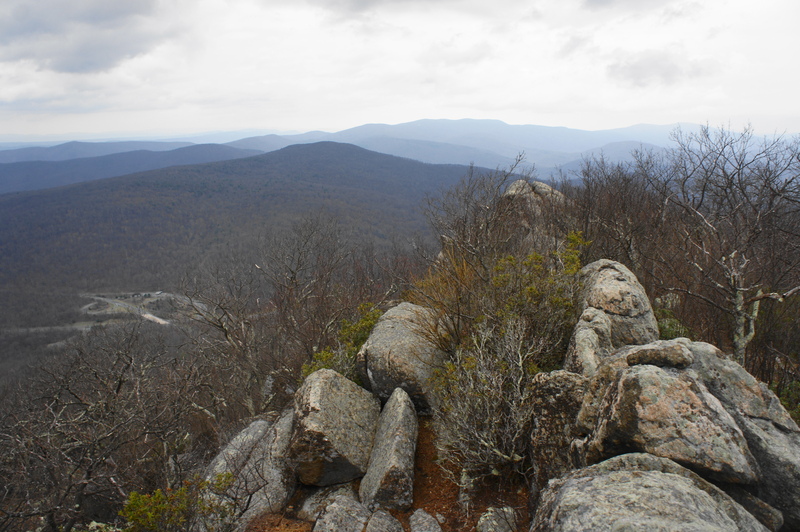 At about 1/3 mile, the AT levels off and then winds its way to the first true viewpoint of the hike: a small outcrop of rocks forms a perch overlooking the Browntown Valley, itself a segment of the broader Shenandoah Valley. 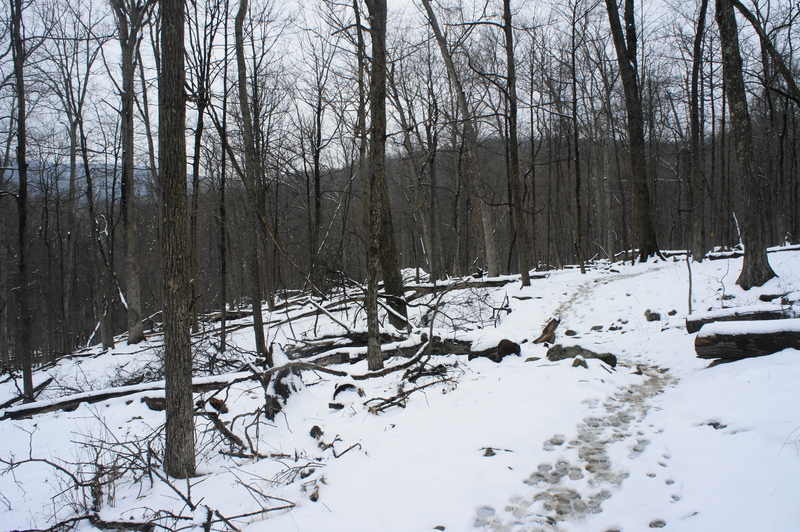 Off to the west is the hulking mass of Hogback Mountain (3,474’)—the hike’s next destination to come. North of Hogback, the tree-laced slopes form Gimlet Ridge, which sticks out into the farm-studded valley below. 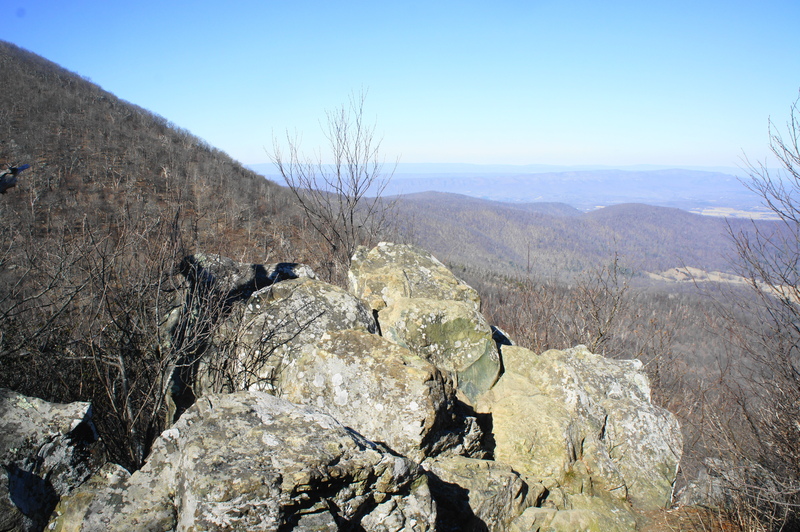 Off to the east, the Blue Ridge Mountains curl north, with Dickey Ridge extending off into the distance to the park’s northern end. 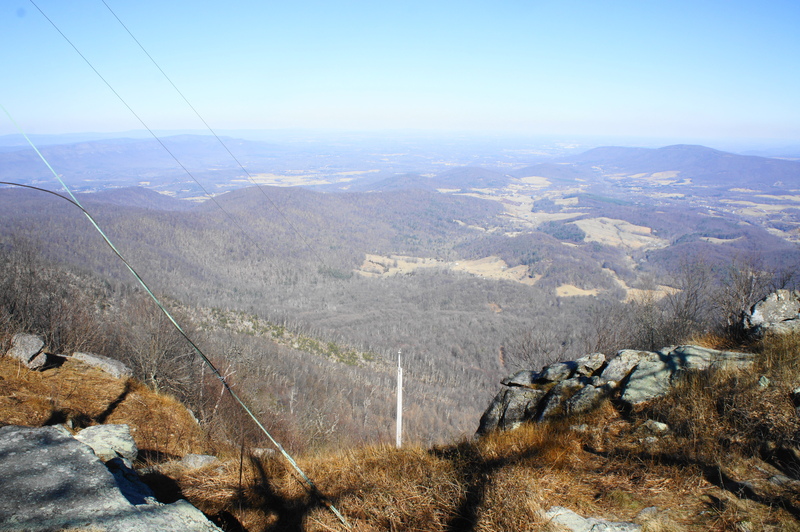 Across the valley lies the lengthy cast of Massanutten Mountain, itself dwarfed by the taller Great North Mountain range beyond. From this windy perch, backtrack a few strides and bear right as the trail continues southward. Within a minute, the path drops to within striking distance of the parking area at Little Hogback Overlook, but the AT cuts right at the last minute, descending a set of stairs below the viewpoint. The saddle between Little Hogback and its taller neighbor is laced with lovely mountain laurel. 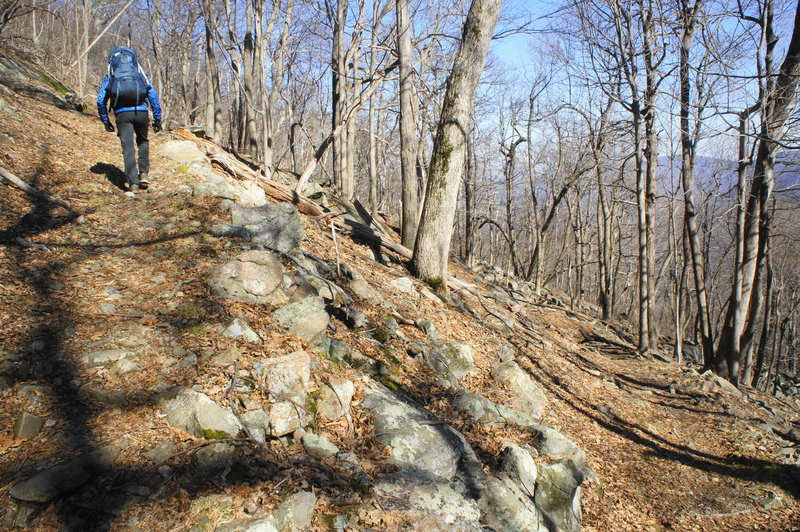 At about 6/10 mile, with Skyline Drive still within eyeshot, hikers will begin the hardest climb of the hike: a roughly 400-foot gain in around 1/3 mile to the upper reaches of Hogback Mountain. Although switchbacks partly ease the ascent, this is easily one of the steepest stretches of trail in the park. It is over relatively quickly, however, as the path levels off before the one-mile mark. 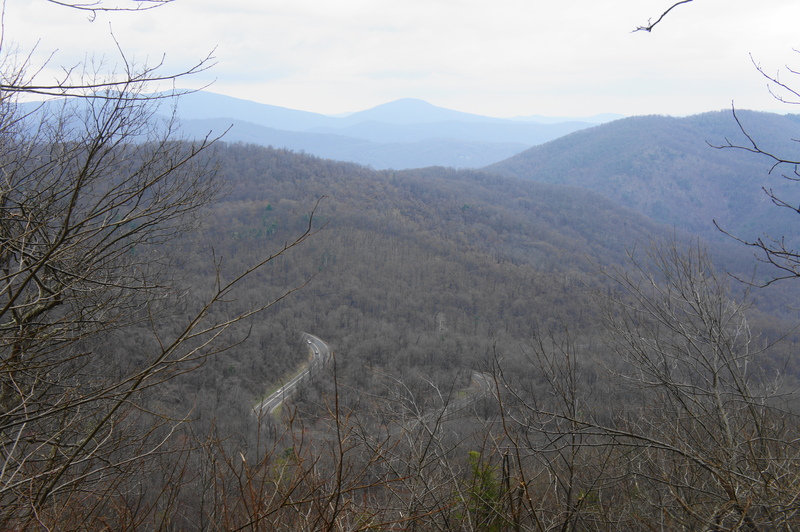 After the climb, the AT flattens out and even partly descends to a high gap on Hogback Mountain Despite being taller than Little Hogback, the views from Hogback proper are more limited. 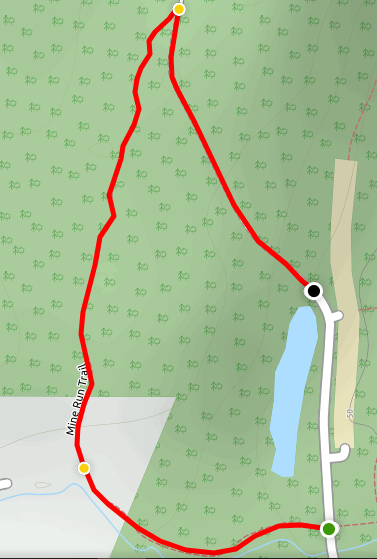 However, at 1.25 miles, the AT reaches a junction; if you stay right, the trail approaches a decent viewpoint at the local hang-gliding launch site. 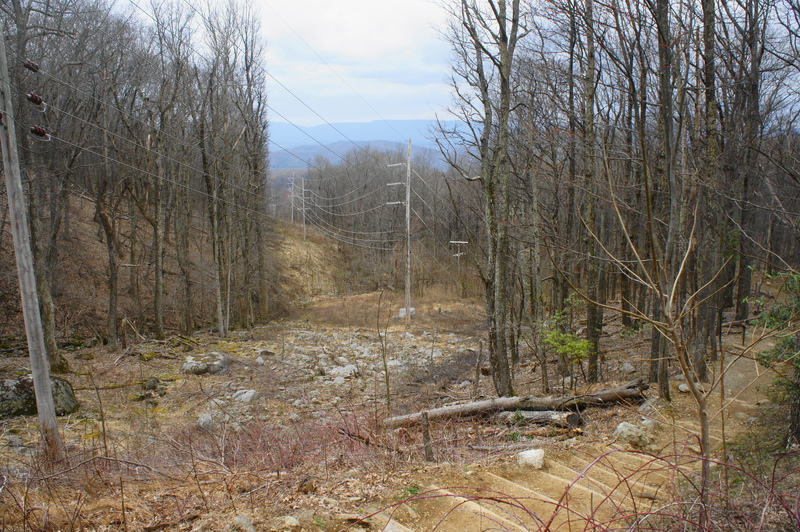 Although power lines detract from the charm, hikers are rewarded with sweeping views of the Browntown Valley. 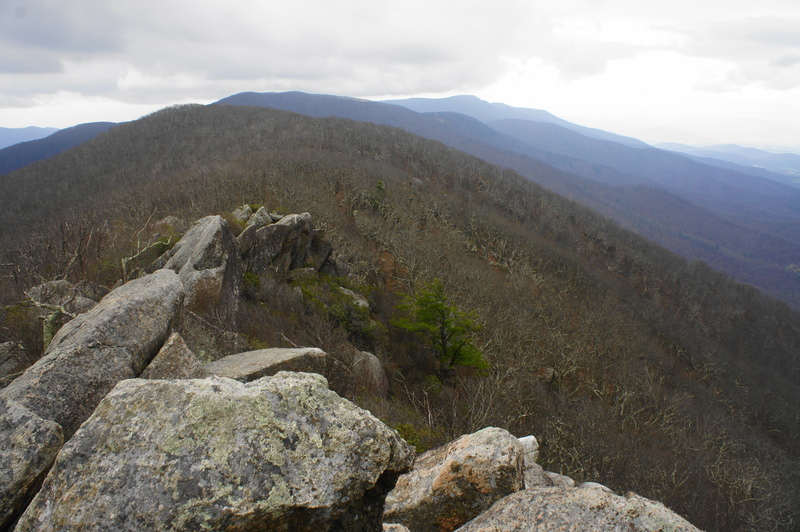 Beyond the vista, the AT drops back into the woods and then weaves south, bypassing the summit of Hogback. 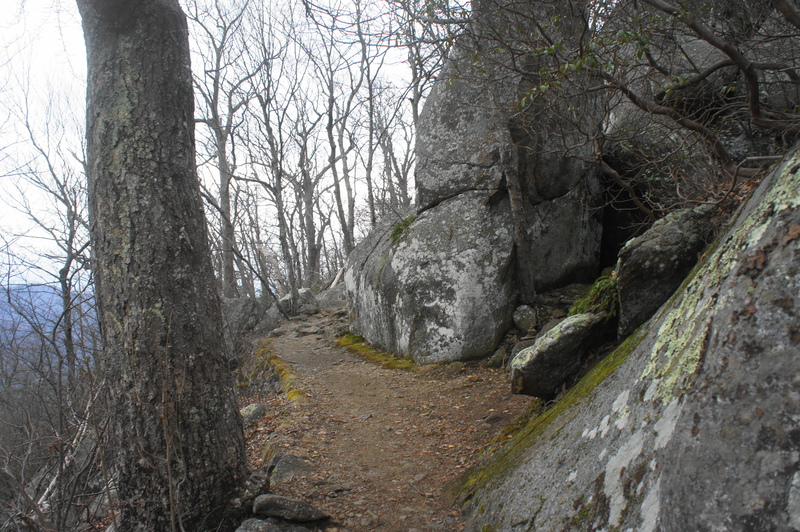 The relatively level path rounds the mountain, then begins to descend at around 1.5 miles through a patch of mountain laurel. 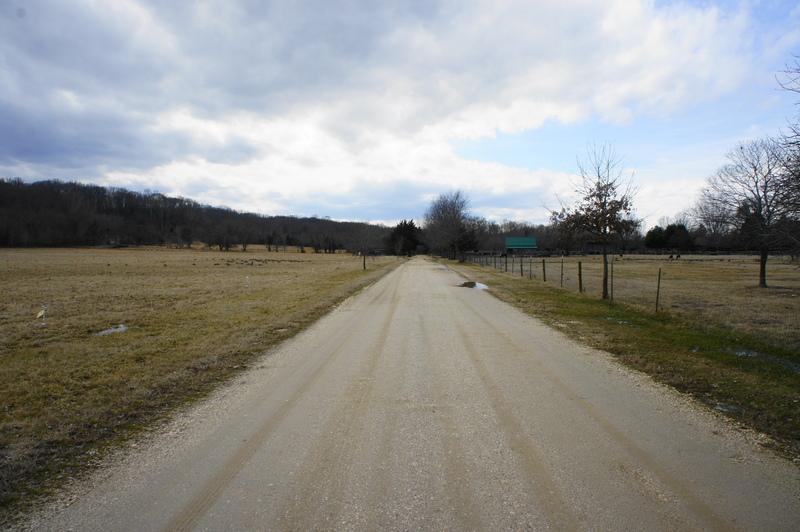 Skyline Drive soon reappears on the left, and the trail spills into a gravel road at 1.6 miles. Bear left on the road, then cross Skyline, eyeing the trail continuation on the other side. As the path returns to single-track, it drops down a set of stone steps. 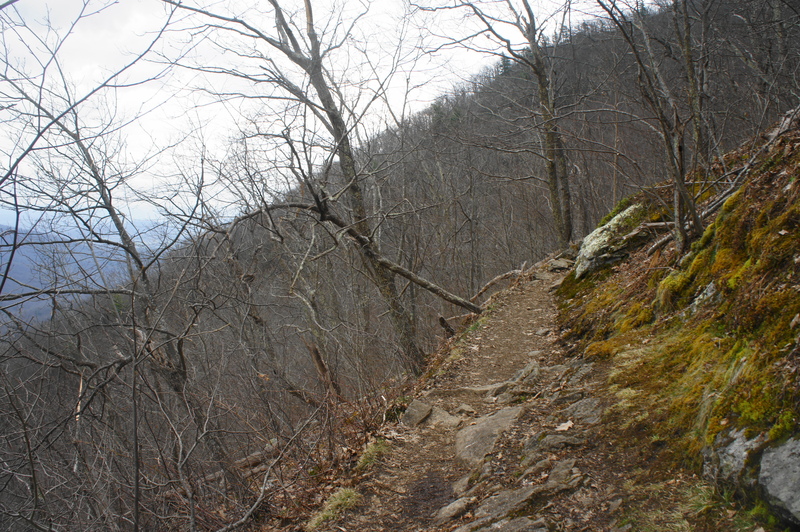 If pursuing the full circuit, stay right at the junction with the Sugarloaf Trail. (Note: Hikers seeking a shorter loop can bear right here, cutting off a couple miles from the total hike.) 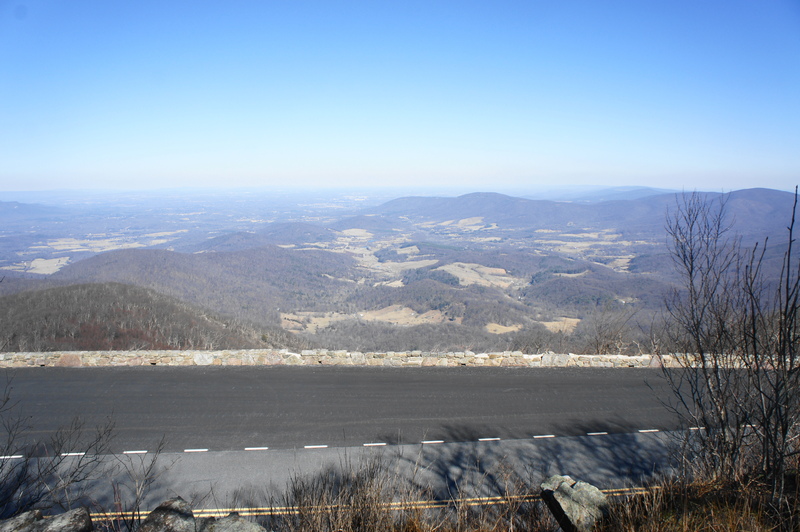 From the fork, the AT stays close to Skyline Drive, rising to a decent vista at about 1.75 miles, effectively a perch looking out over the drive to the valley beyond. 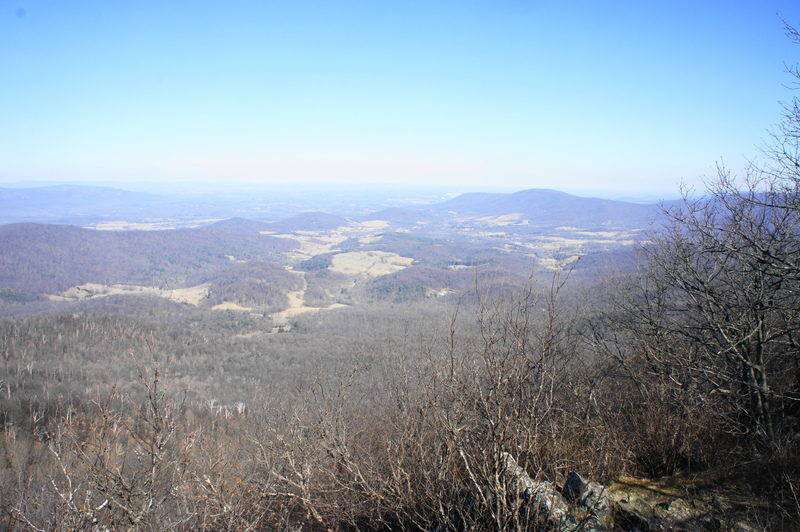 This marks the last unobstructed view of the hike, and the AT from here descends to cross Skyline Drive again at about 1.9 miles. Stay on the trail as it skirts to the left of a parking area, a popular starting point for the lovely hike to Overall Run Falls. The relatively wide and flat track bears southwest through the thick forest, approaching another junction at 2.25 miles. Stay left, then begin to descend a long, gradual slope. The trail briefly climbs to clear a rock outcrop at about 2.6 miles, then resumes its descent, with the incline becoming more pronounced. 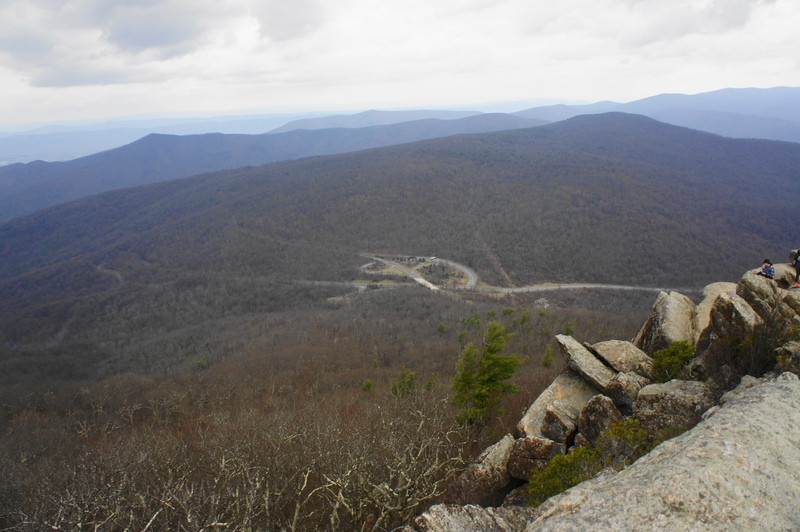 At 2.9 miles, hikers will cross Skyline Drive for the final time on the hike. Here the trail continues dropping, rounding bending switchbacks. At 3.1 miles, bear right onto the Piney Branch Trail. 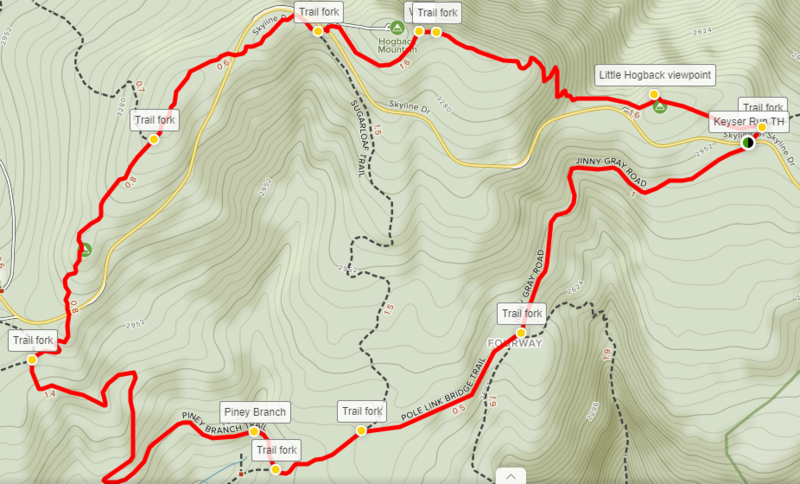 After spending most of the hike to this point amid the heights of the Blue Ridge Mountains, the Piney Branch Trail drops precipitously toward the lowlands. Following a straightaway and sharp left-hand U bend, the path descends sharply again. 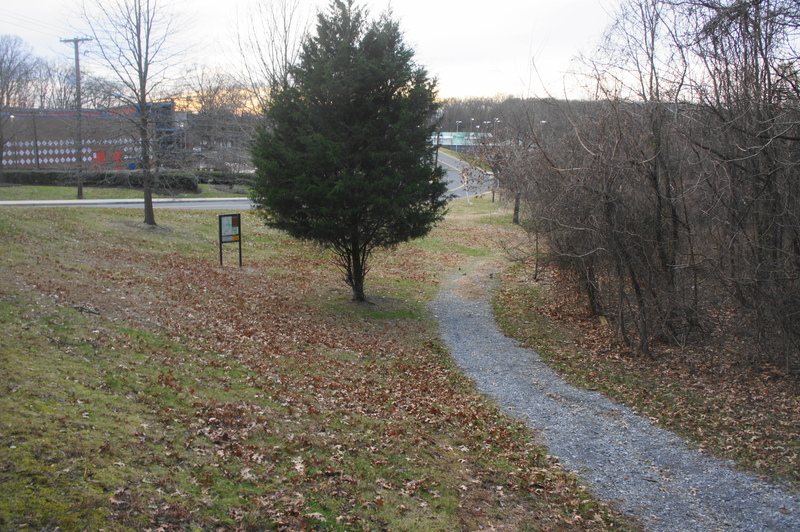 A long, south-bound straightaway leads to another bend, then the Piney Branch Trail descends gradually to its namesake stream. The area around Piney Branch (or Piney River) is lush and lovely, and a smattering of rocks offers a nice place to stop for a snack. Hikers are well away from civilization by now, with the traffic of Skyline Drive drowned out by the water, wind, and some 500 feet in elevation loss. The crossing of Piney River is followed shortly by another trail junction, this one at about 4.4 miles. To complete the circuit, bear left on the Keyser Run Fire Road, an overgrown gravel path that is closed to vehicles but acts as a superhighway for hikers. It is roughly one mile up the gradually sloping road, which hugs the side of the mountain. 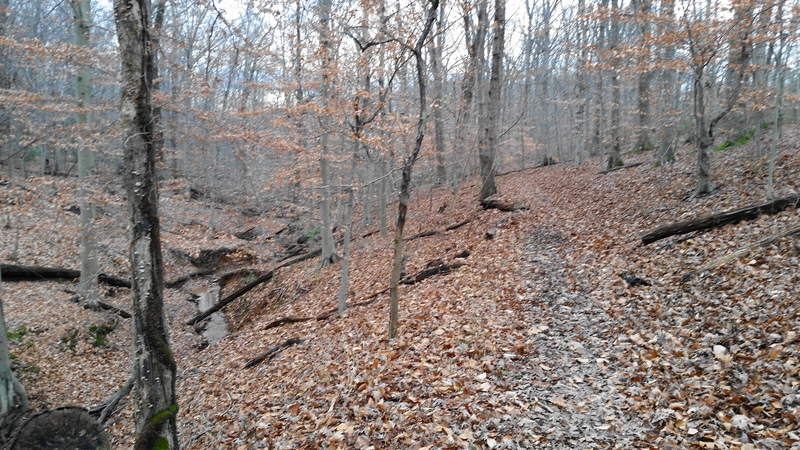 Finally, at about 6.4 miles total, the hike ends back at the Keyser Run Trailhead. 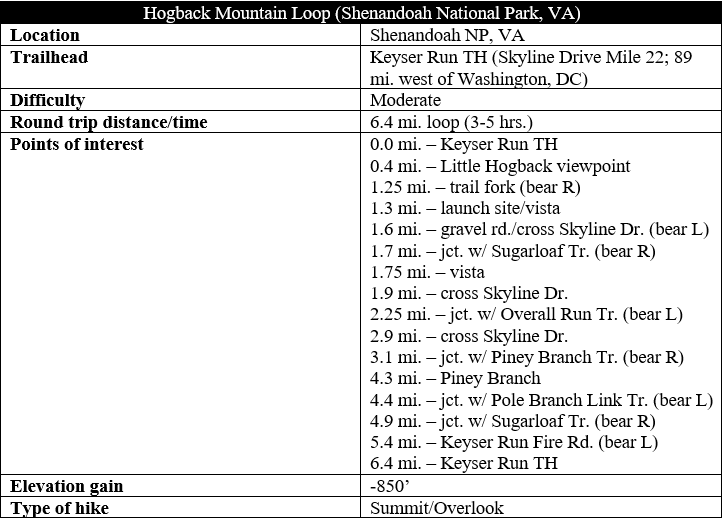 Hikers aiming to complete the full Hogback Mountain Loop should allot between 3-5 hours, depending on pace. 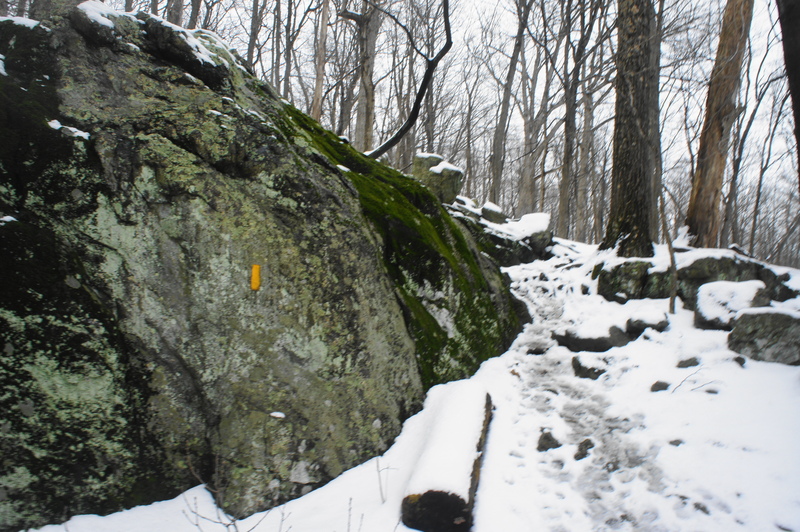 Besides the climb between Little Hogback and Hogback, the trail is relatively mild, making the circuit a nice, moderate half-day journey. 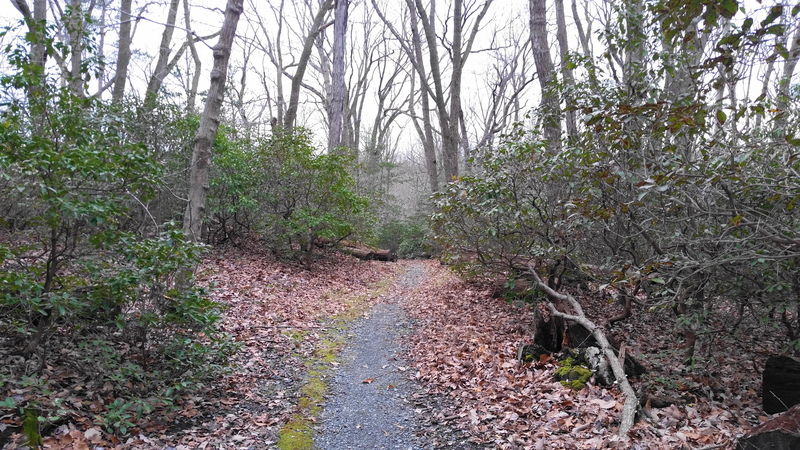 The Mine Run Trail is an oft-forgotten path nestled in the northwest section of Great Falls Park, away from the namesake waterfall, Mather Gorge, and Potomac River. 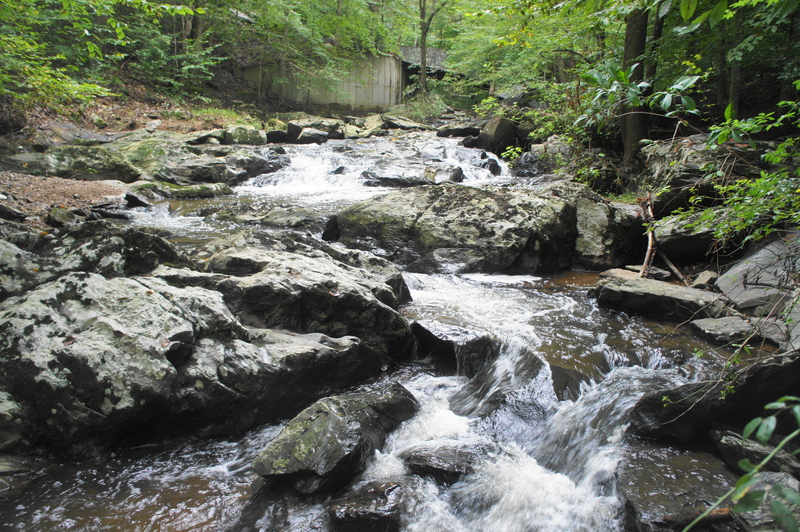 Mine Run, nonetheless, is a lovely tributary of the Potomac and is the highlight of this pleasant, 0.7-mile stroll. 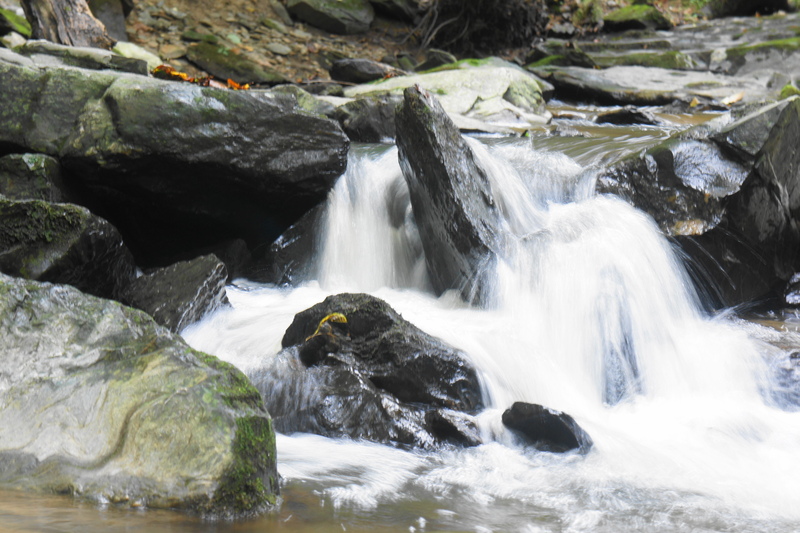 Small cascades dot the creek, shaded under a thick canopy of deciduous trees. The Mine Run Trail is technically a one-way track, but a loop can easily be formed. 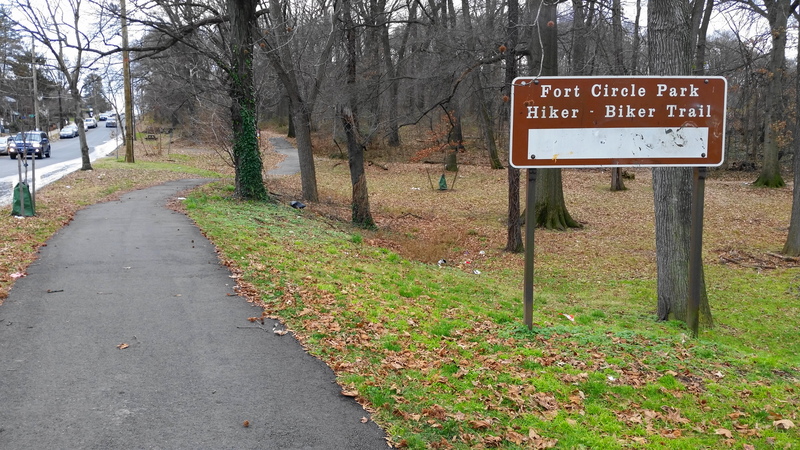 Start the hike at the signed trailhead, situated virtually halfway between the north and south parking areas at Great Falls Park, roughly a ¼-mile walk up the length of the southern parking lot from the Great Falls Visitor Center. After leaving the road, the wide but root-laden trail bears west into the forest, with Mine Run appearing almost right away on the left. 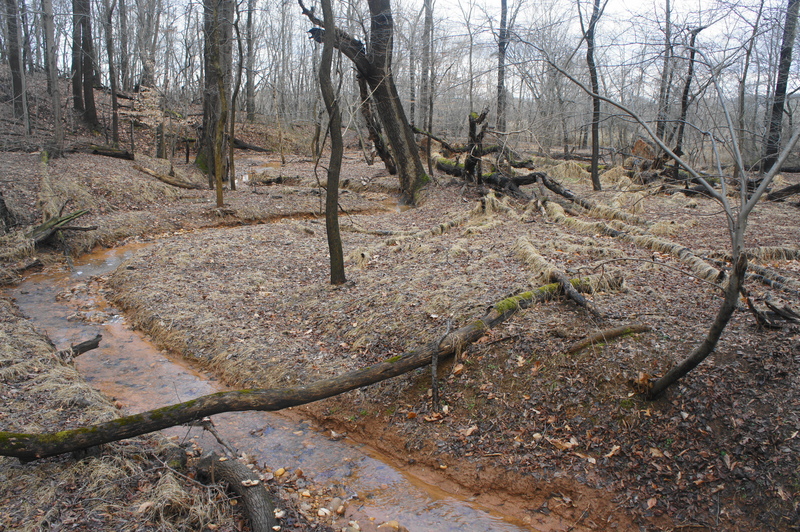 Hikers can also see a boggy depression on the right, filled with water—this is Clay Pond. 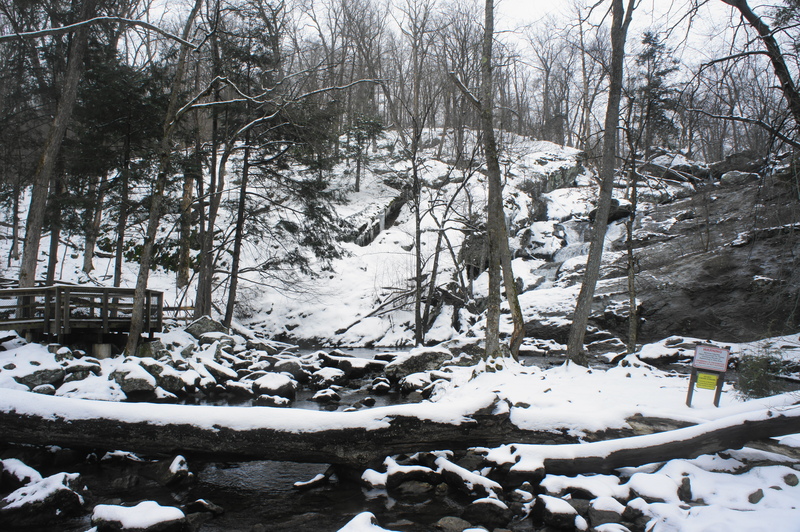 Within 1/10 mile, the trail runs right up to the banks of Mine Run, which gently cascades through the greywacke. Upstream from this point, the path suddenly climbs, then approaches some steeper drops on Mine Run on the left. 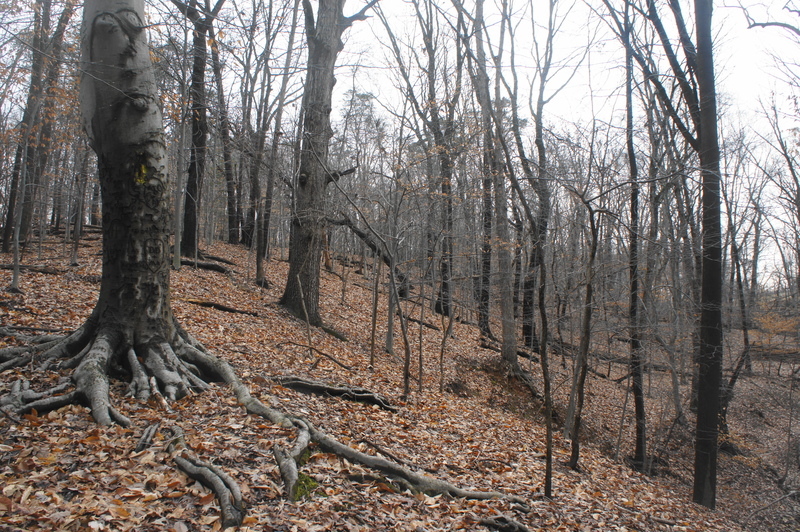 Around 300 yards into the hike, the path bends north, leaving Mine Run behind. 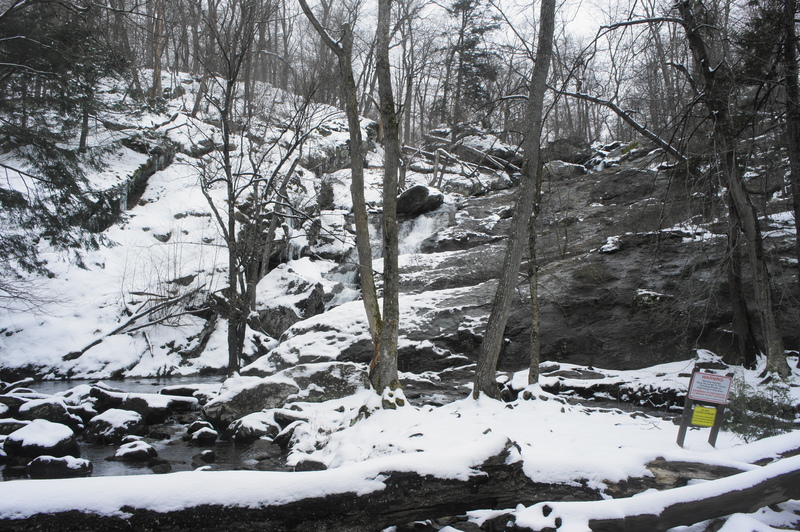 However, a well-worn social trail on the left leads to the best scenery of the hike: a beautifully cascading slide of water, blighted only by the sight of a road overpass upstream. Back on the main trail, bear north as the trail continues through wooded uplands. Moss-covered rock outcrops on the right and views of a Mine Run tributary on the left offer some natural interest, but the route is relatively banal from this point. At ½ mile, the Mine Run Trail ends, merging with a gravel road running north-south. 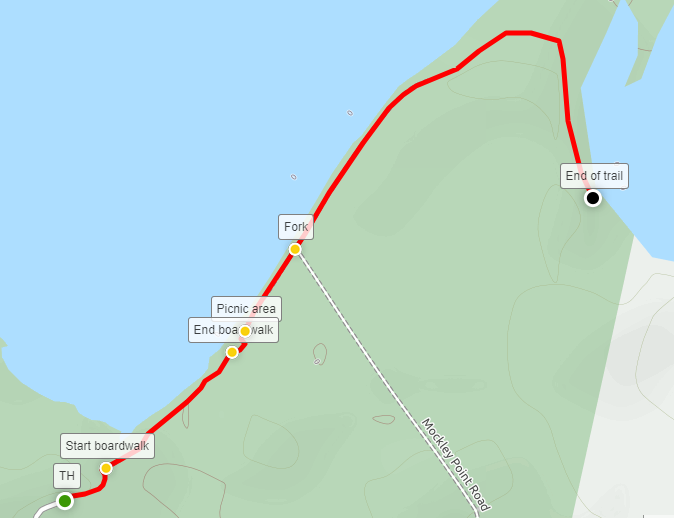 Bear right, following the road back to the northern parking lot in 2/10 mile (then walk south to return to the start), or, alternatively, continue northward to the Riverbend Road Trail or Riverbend Park. 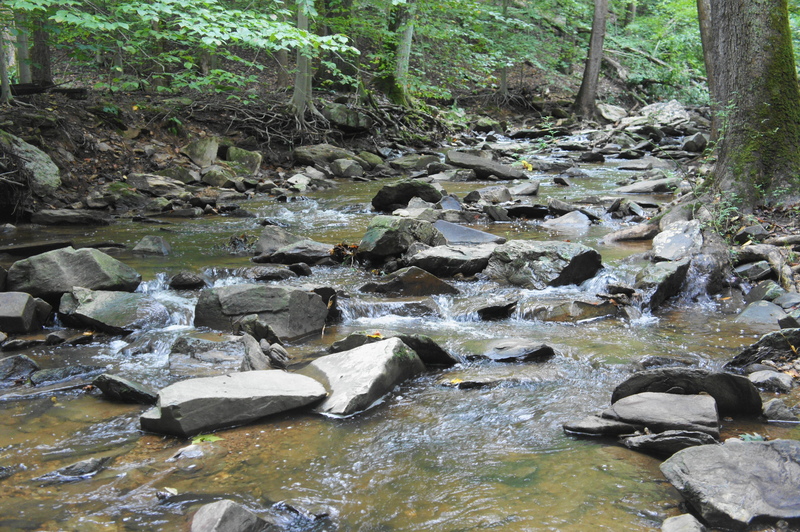 The Mine Run loop takes around 20-30 minutes, plus additional time to explore the lovely creek. Try one of the other trail routes in Great Falls Park, including the Great Falls Overlooks, Great Falls Loop, or Patowmack Canal and Matildaville Trails.